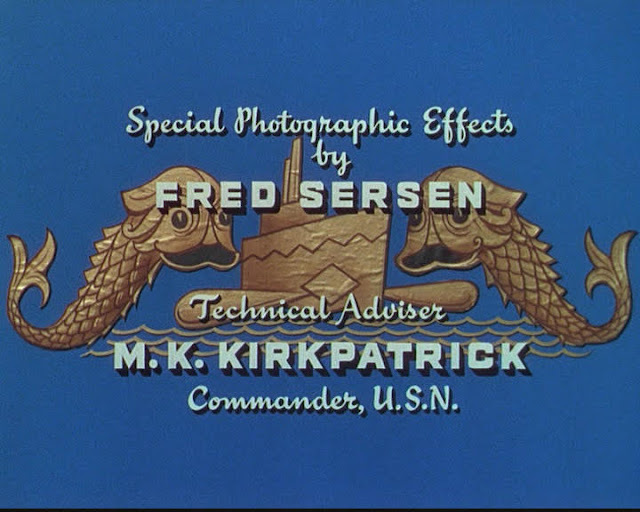 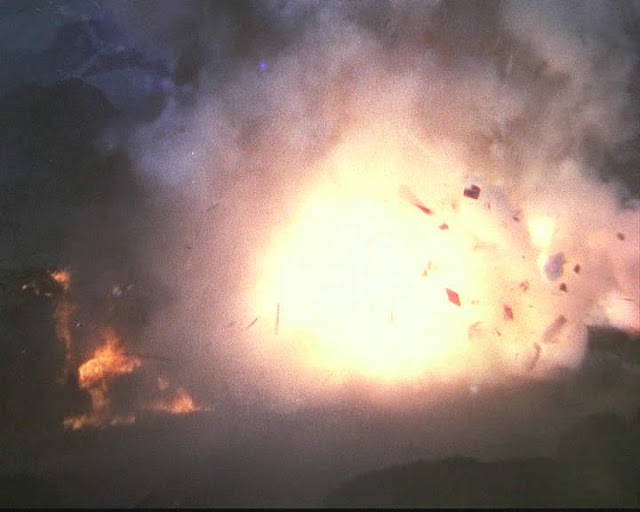 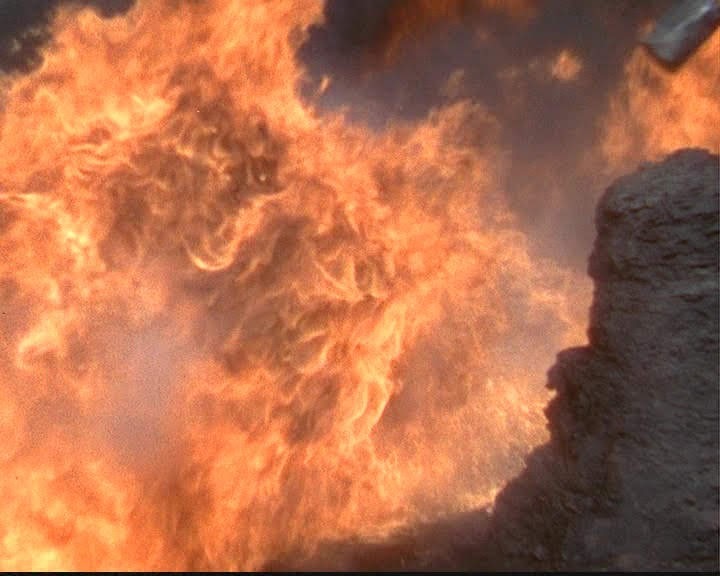 Visual Effects by 20th Century Fox's legendary head of special effects Fred Sersen. 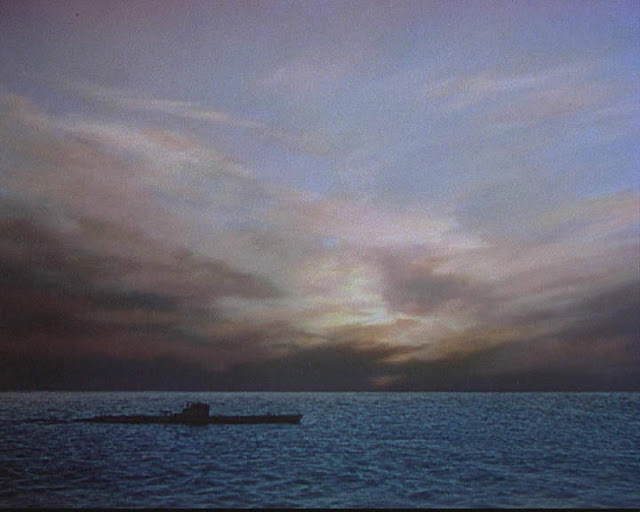 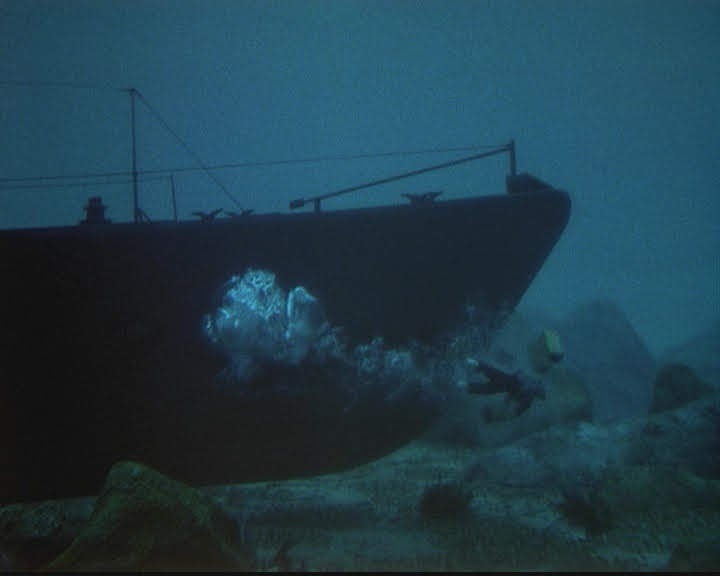 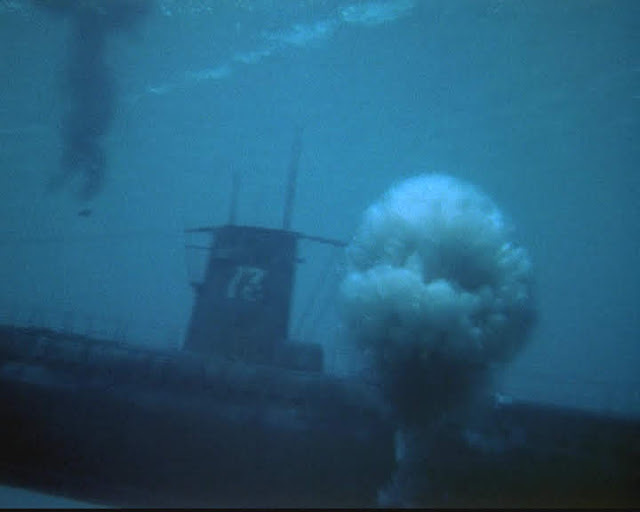 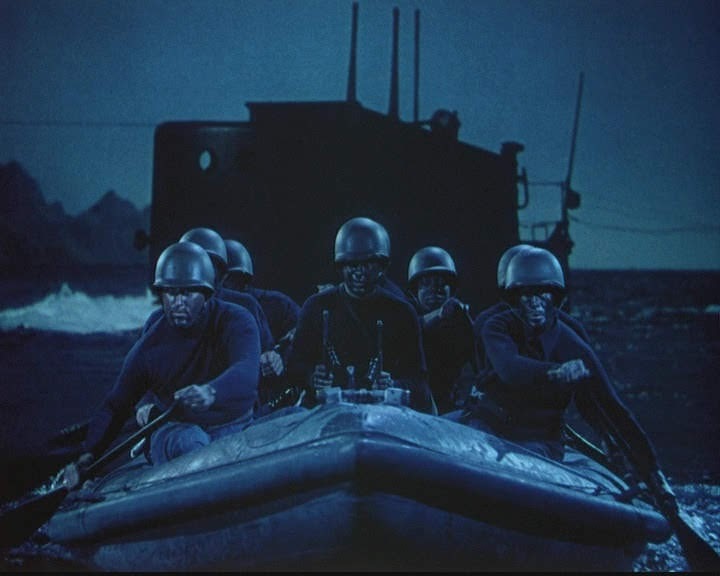 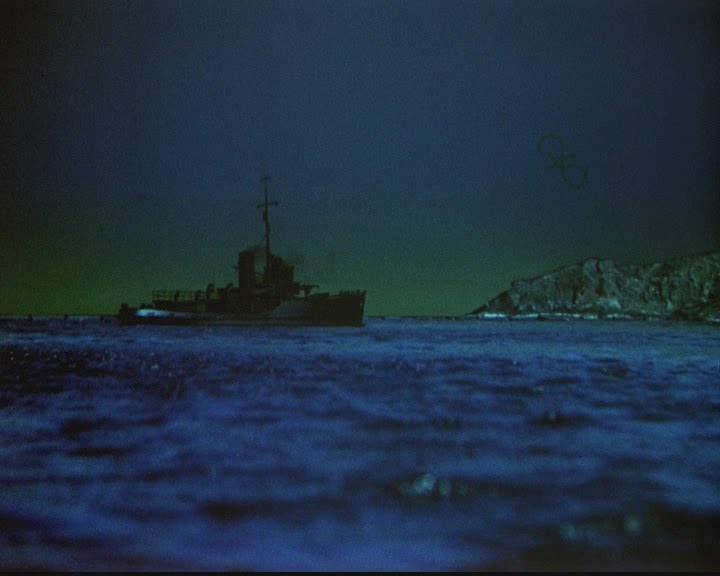 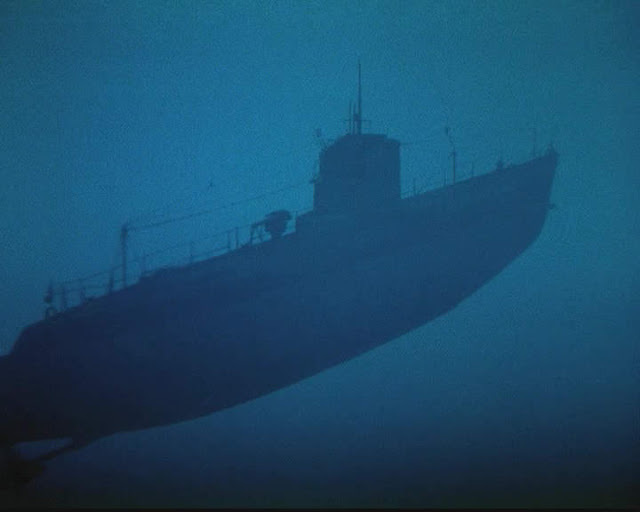 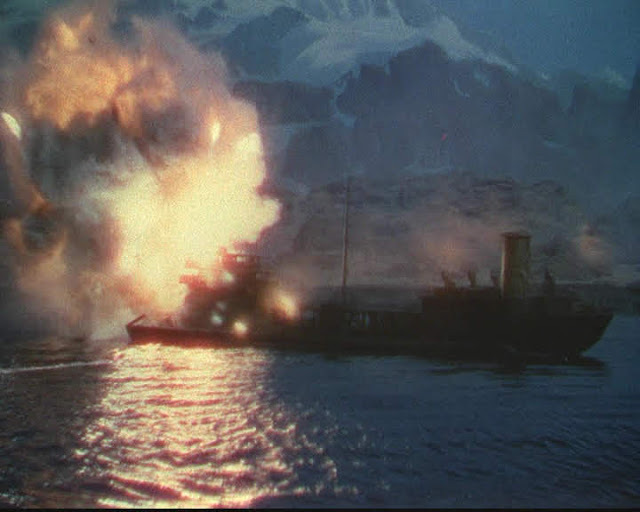 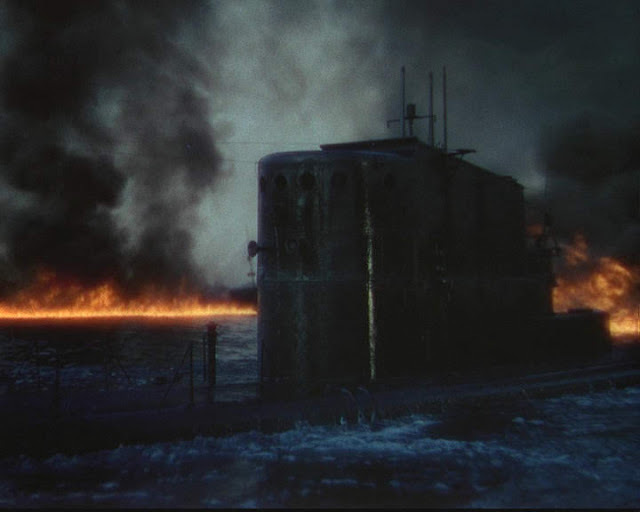 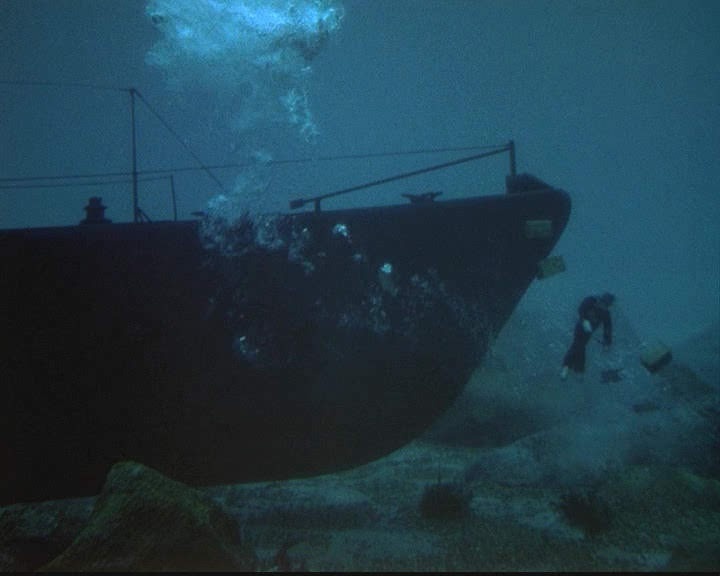 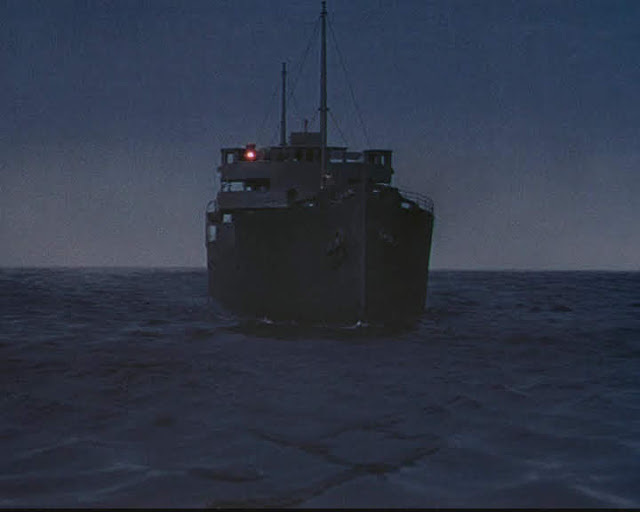 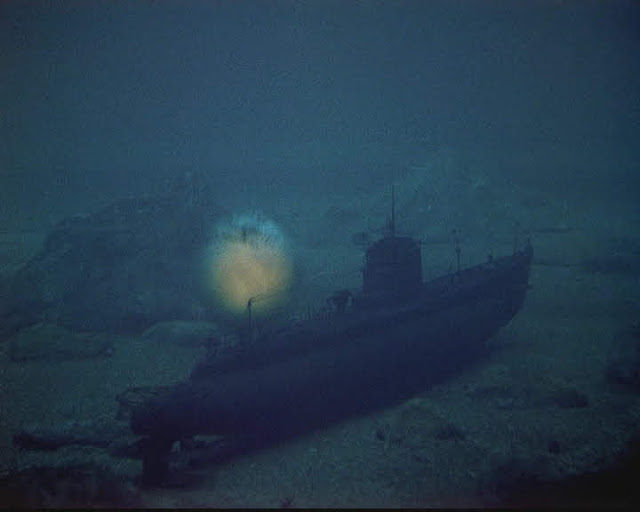 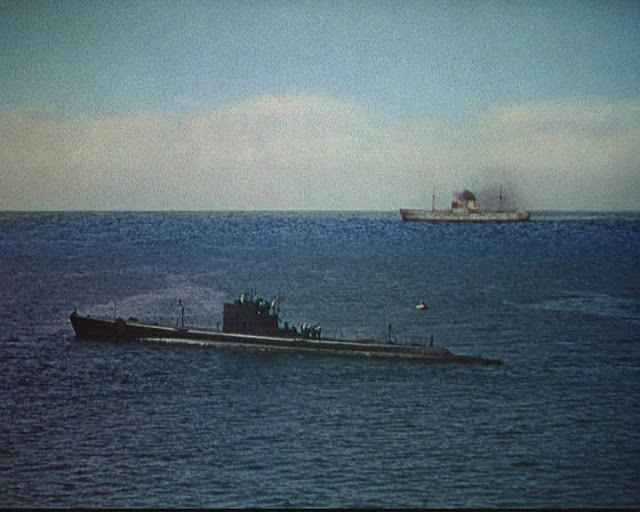 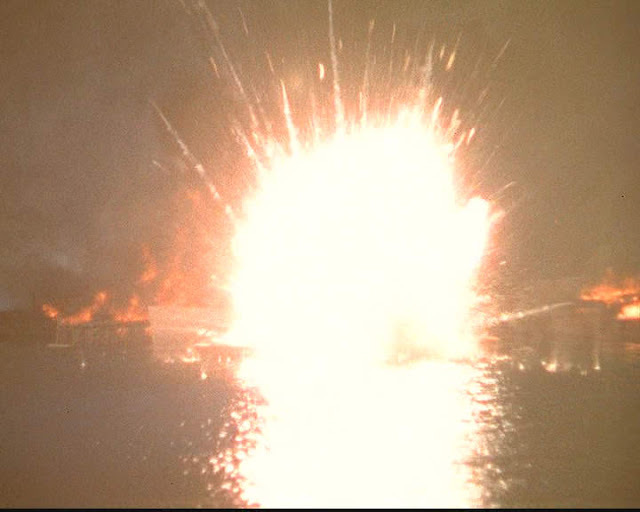 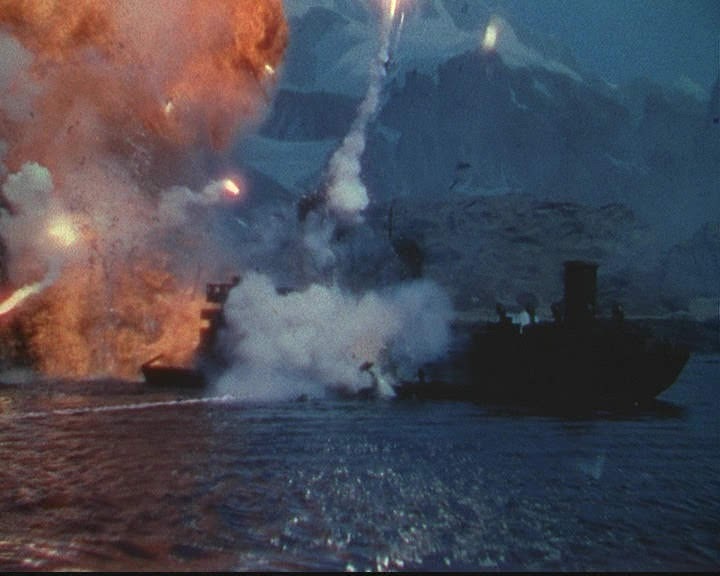 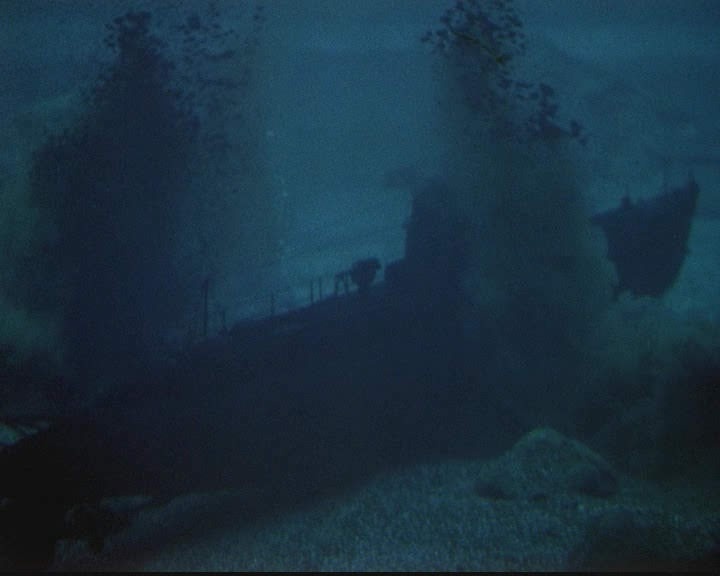 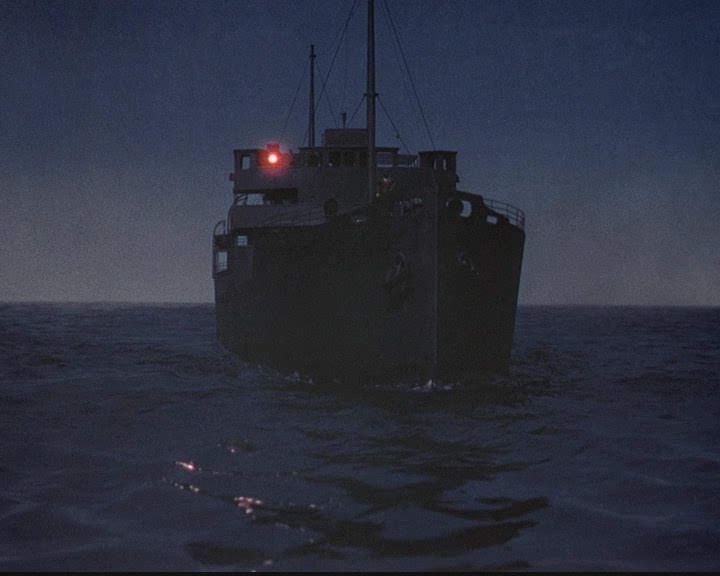 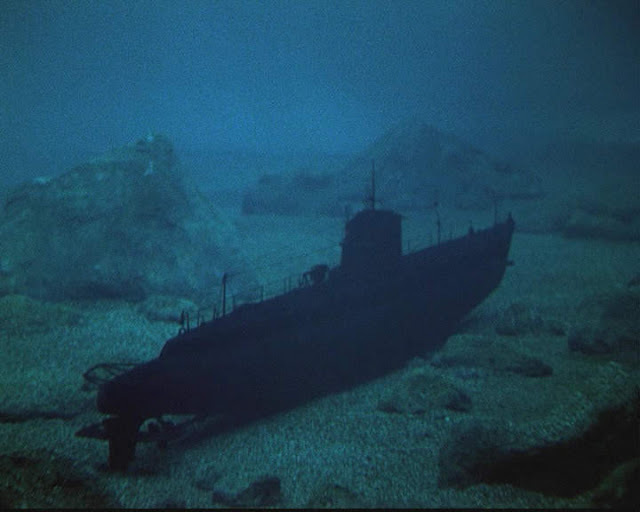 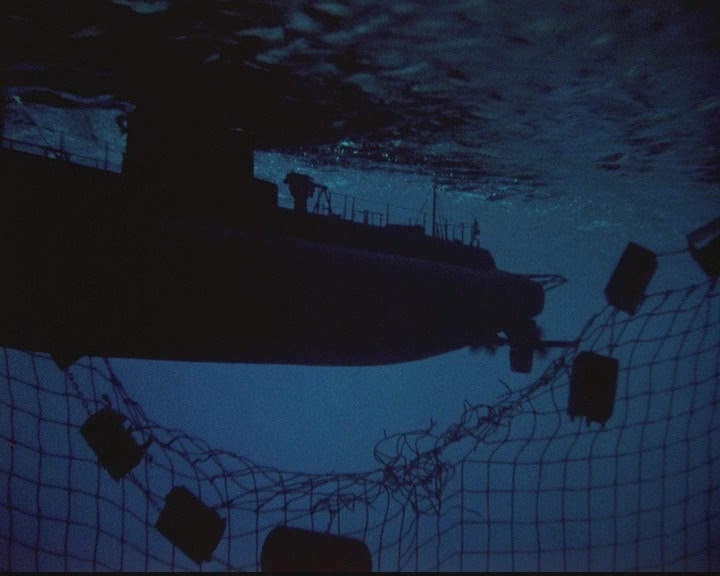 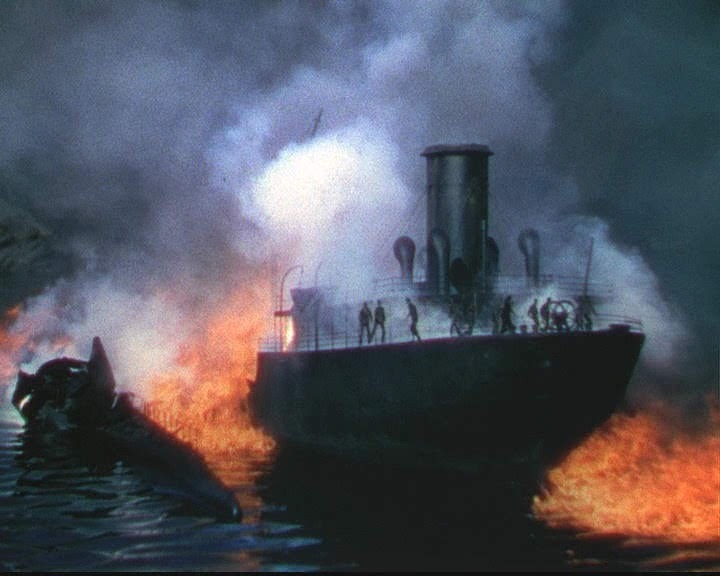 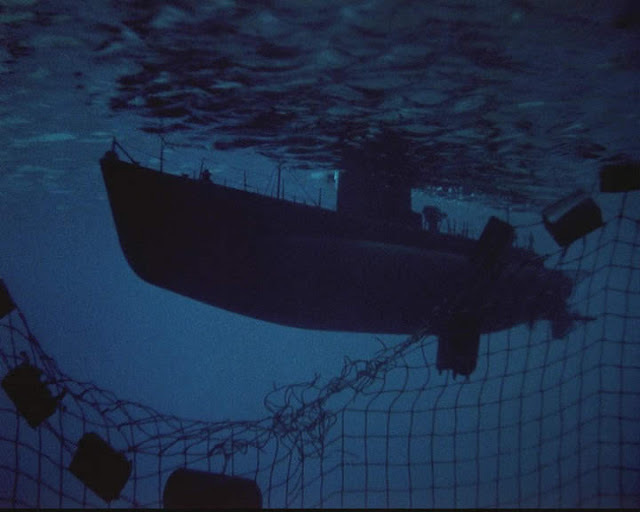 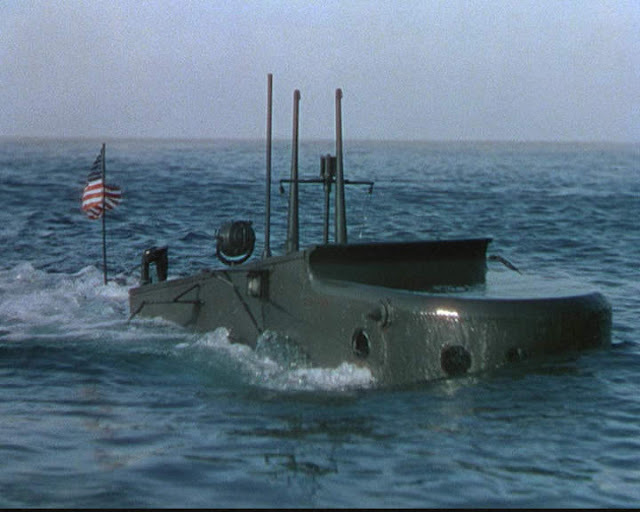 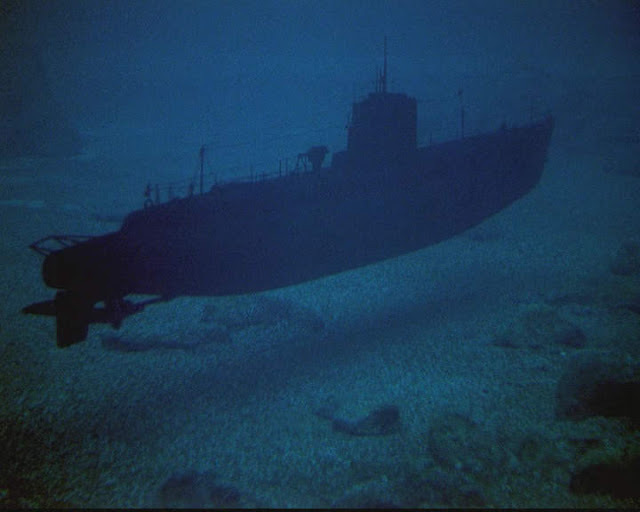 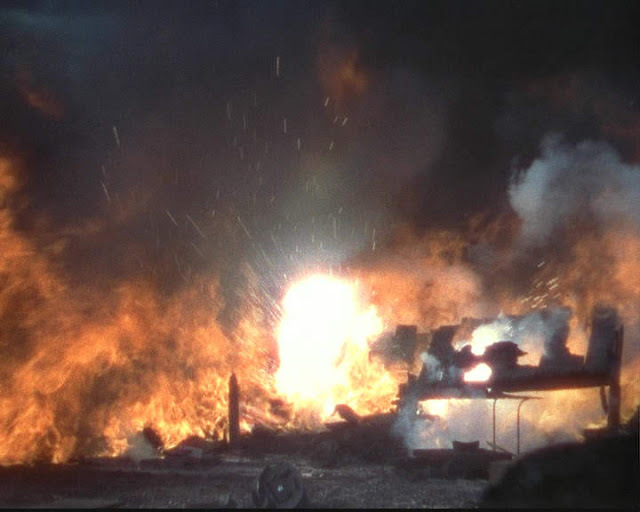 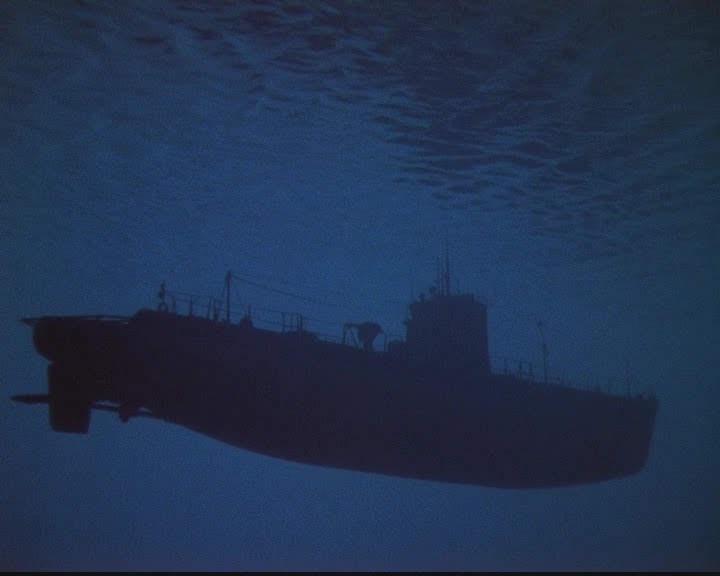 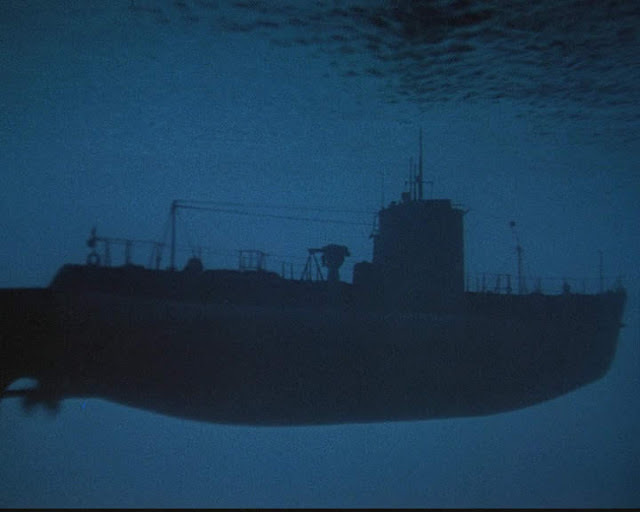 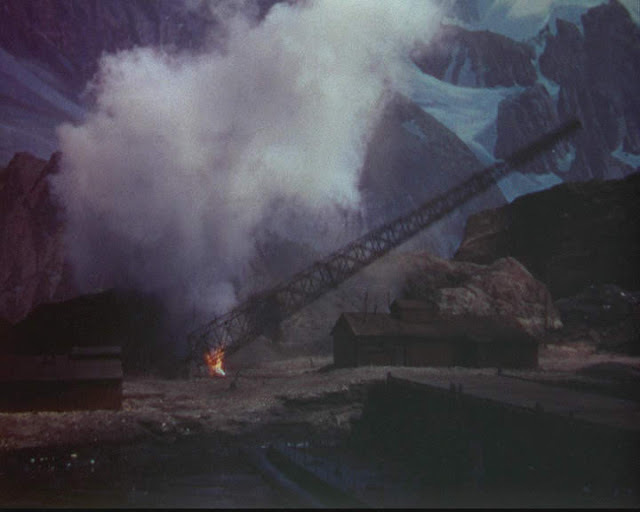 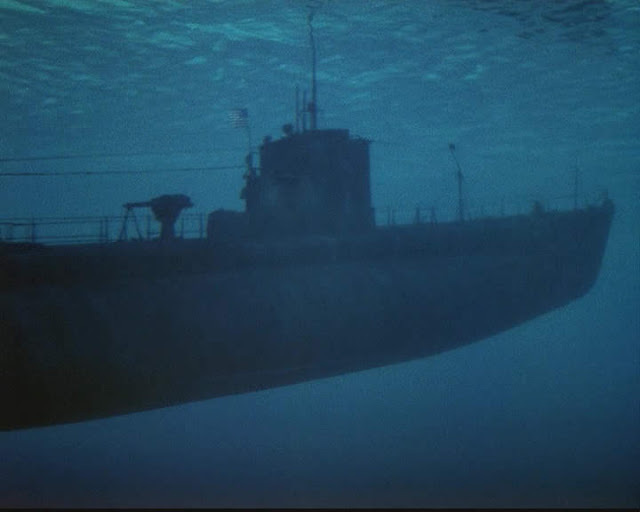 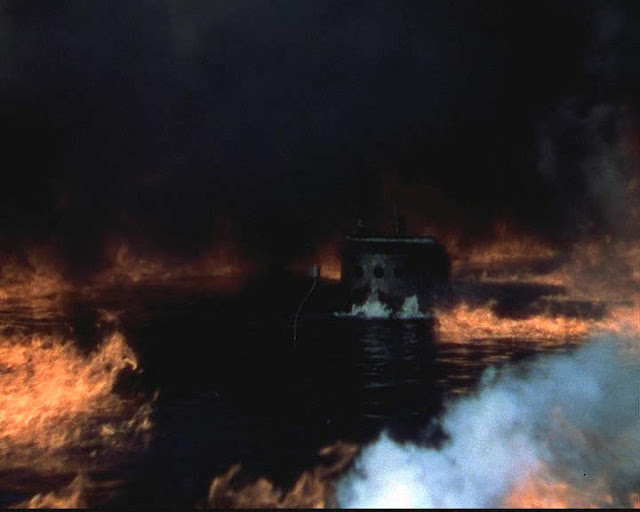 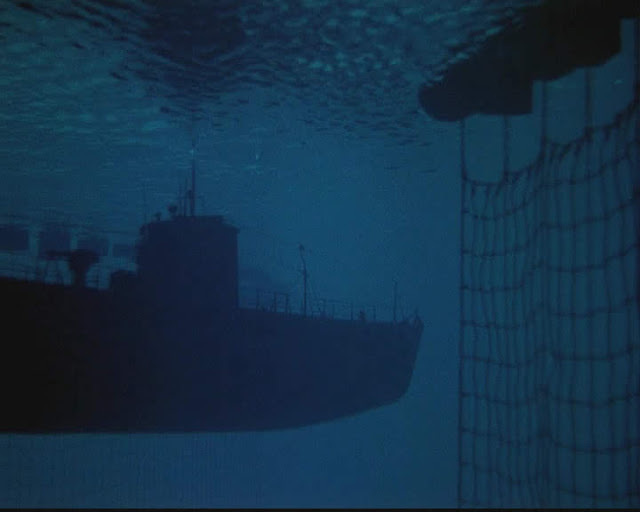 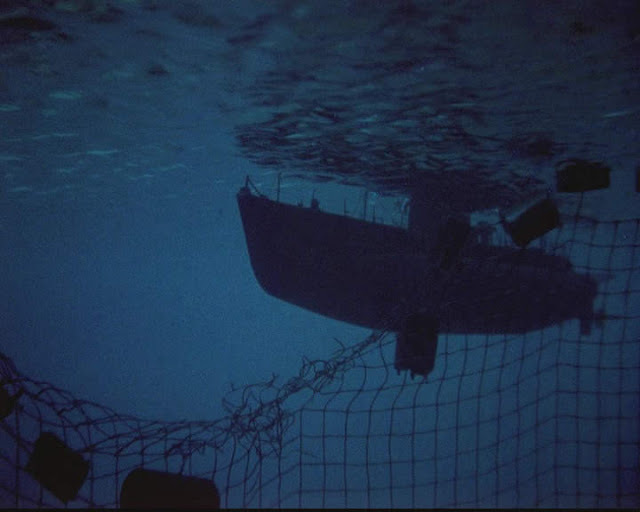 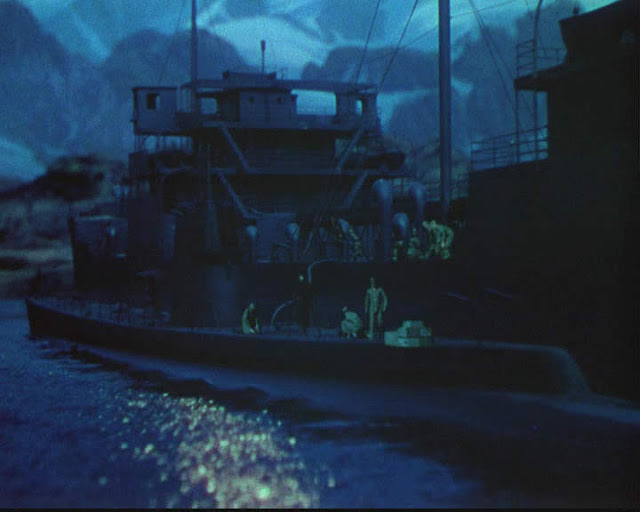 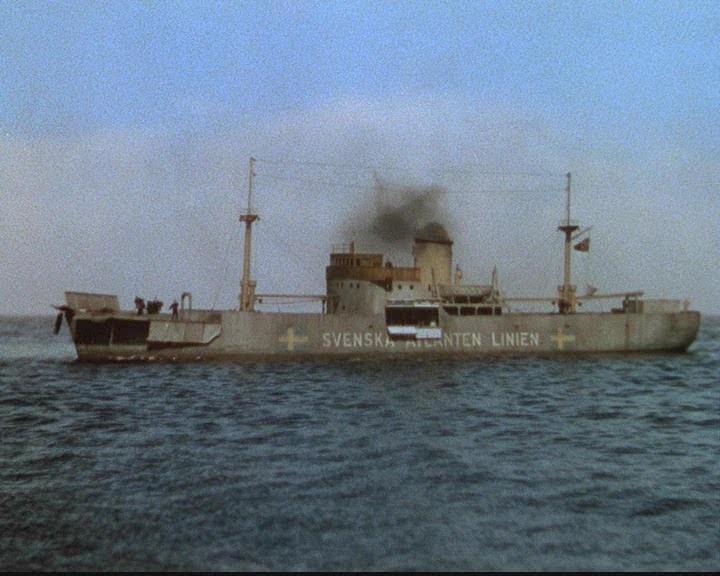 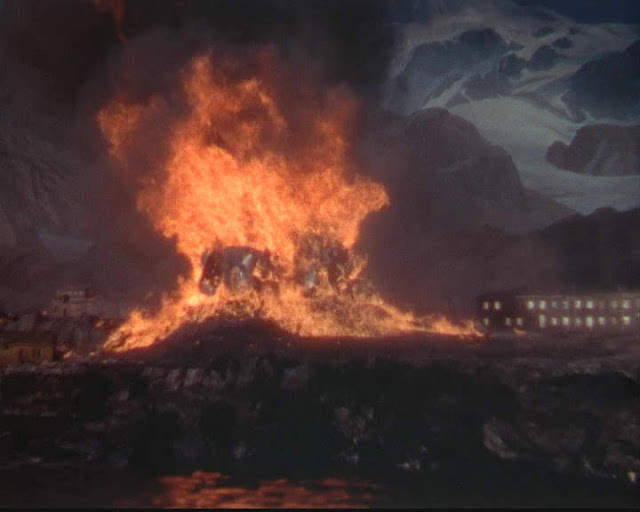 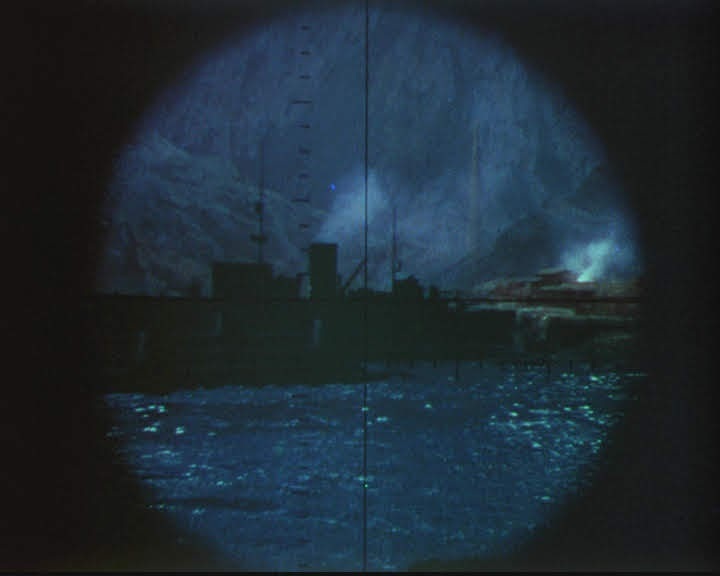 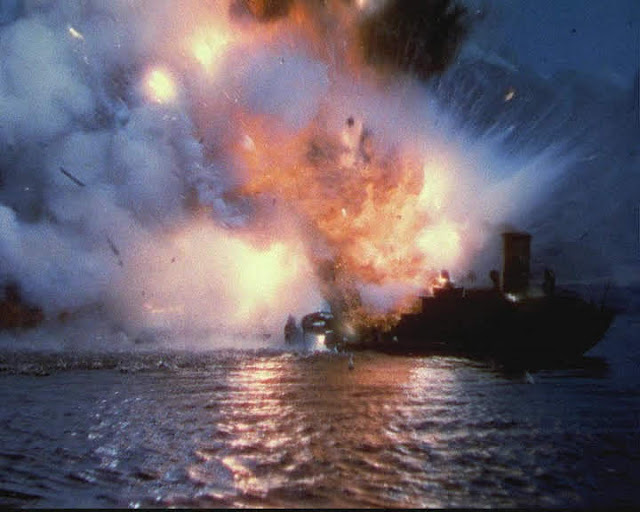 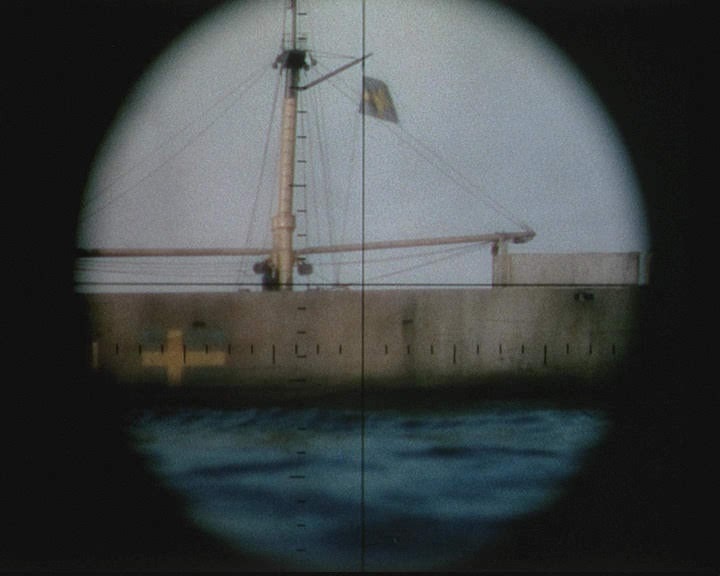 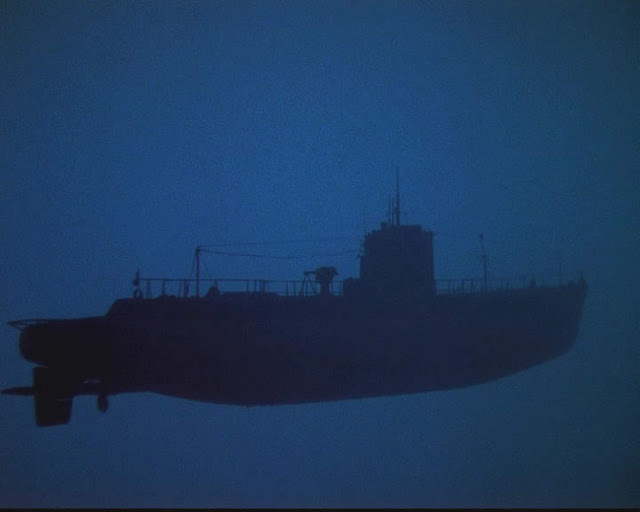 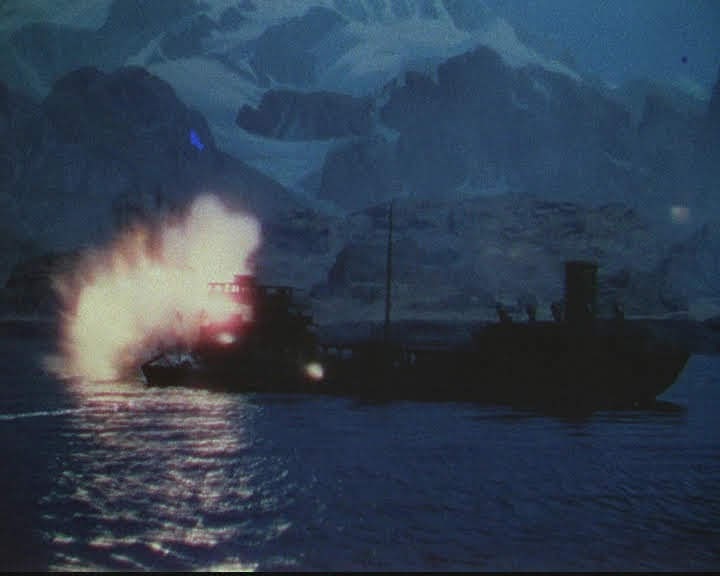 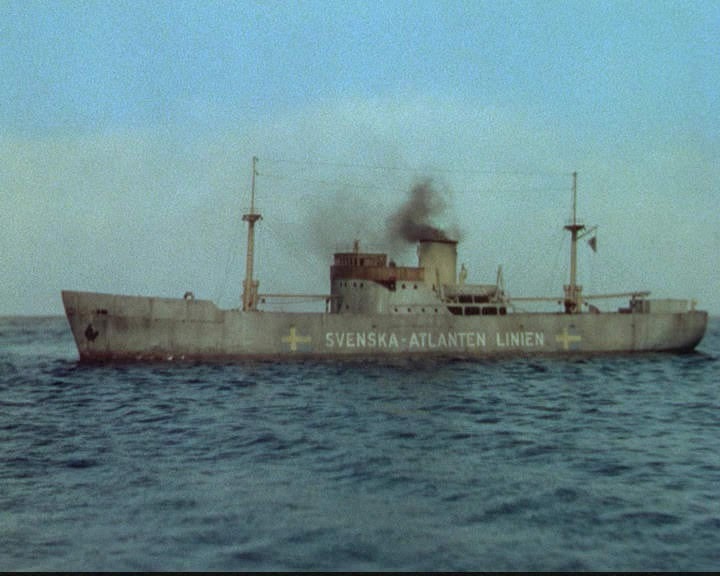 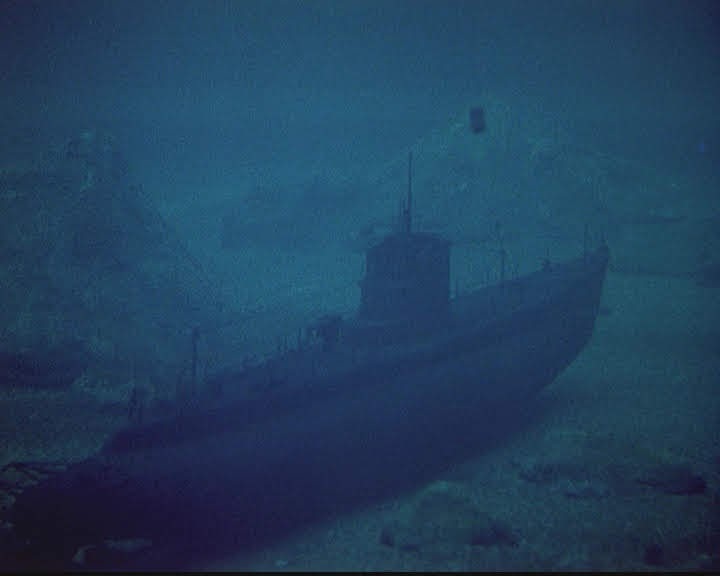 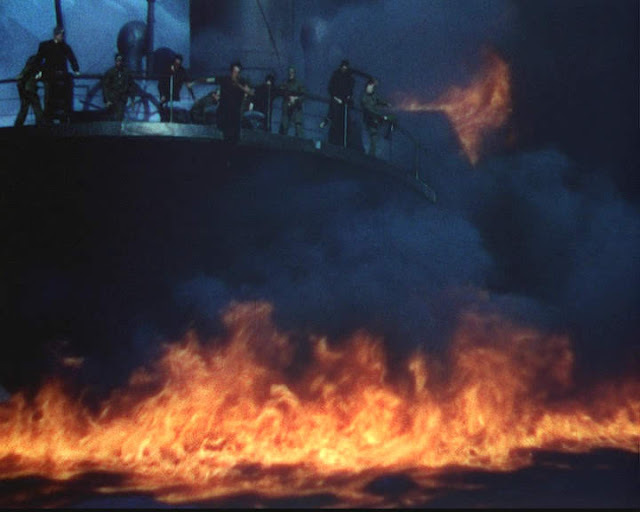 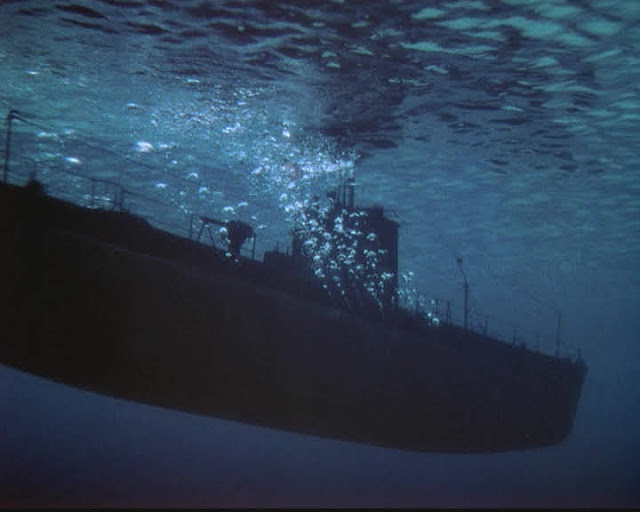 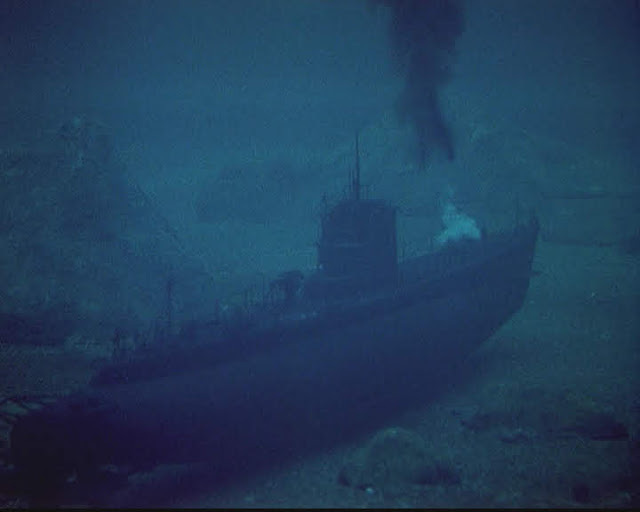 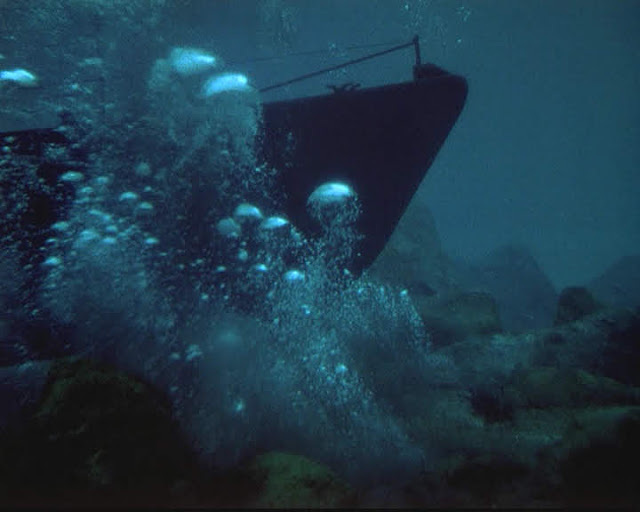 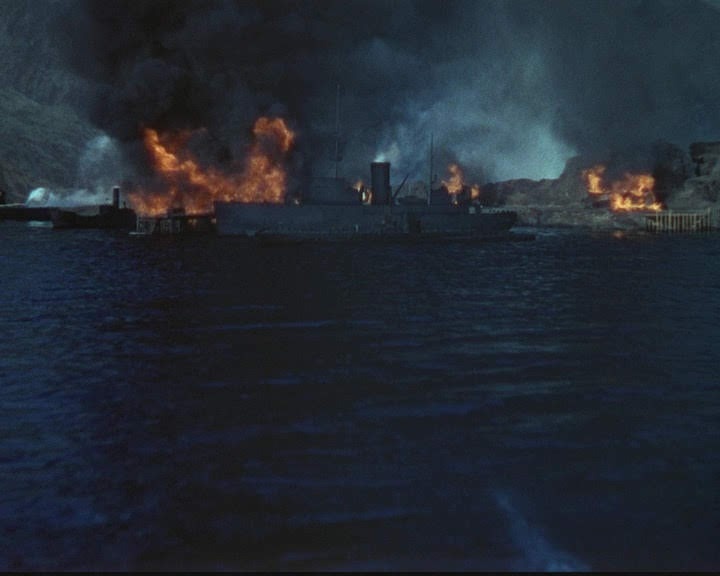 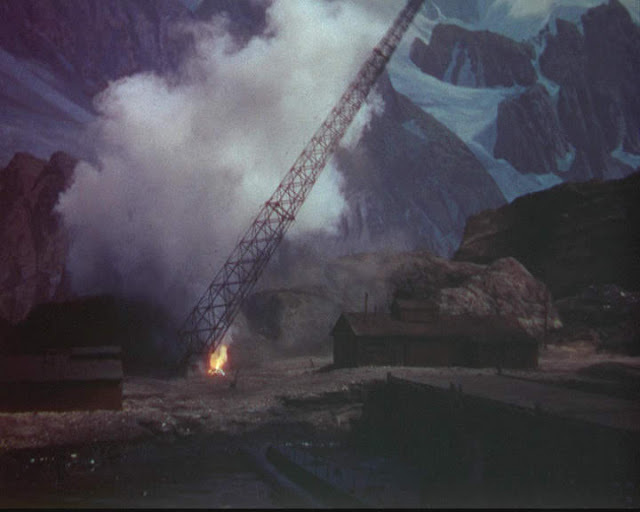 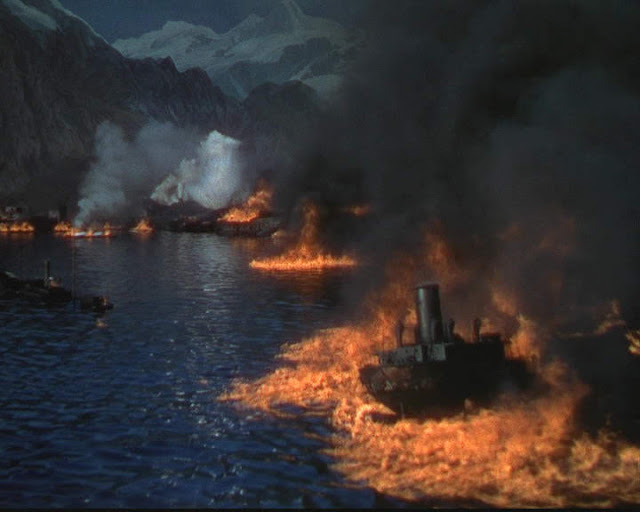 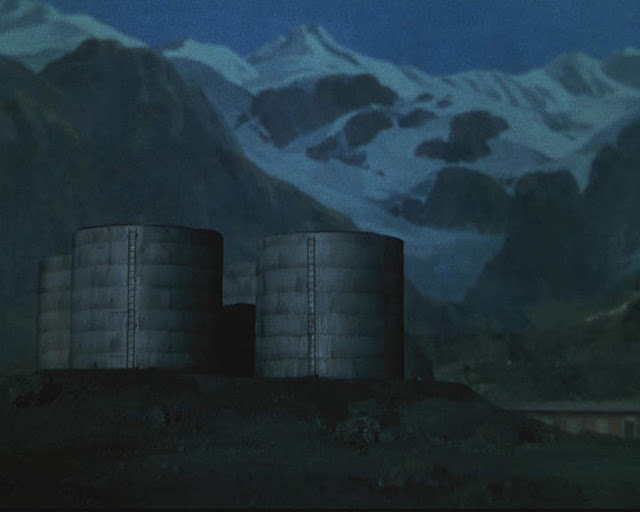 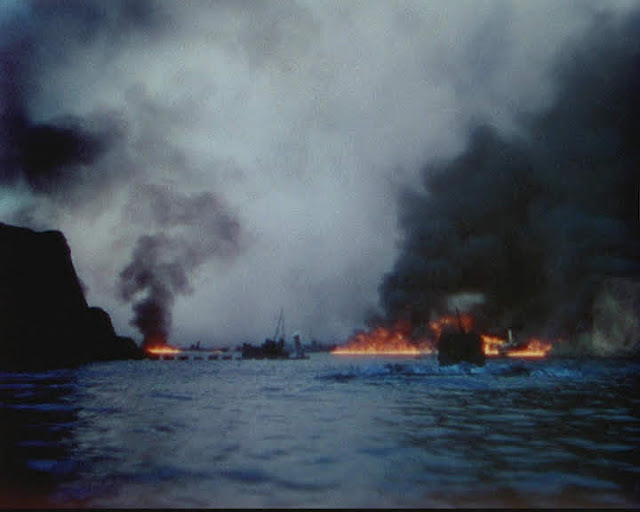 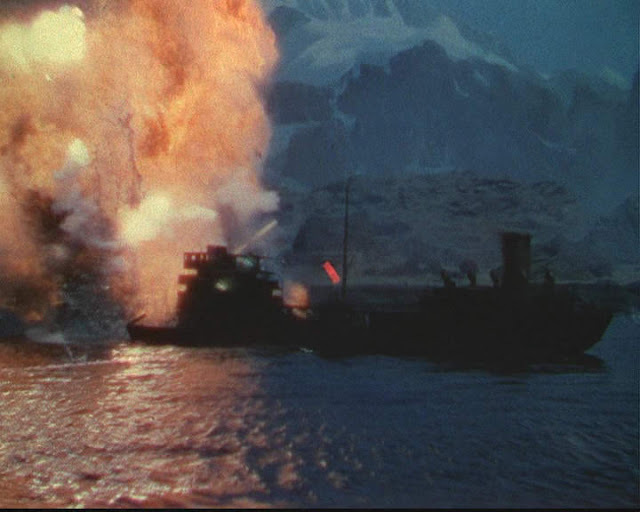 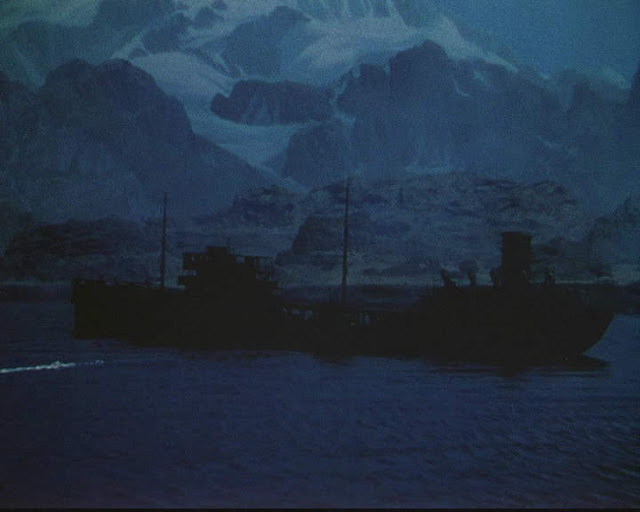 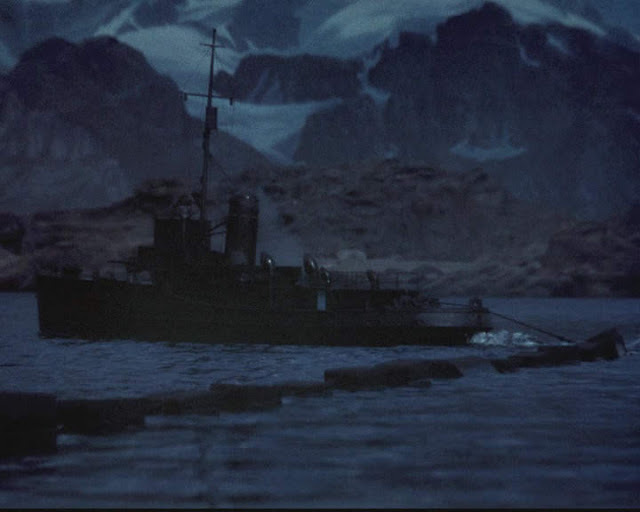 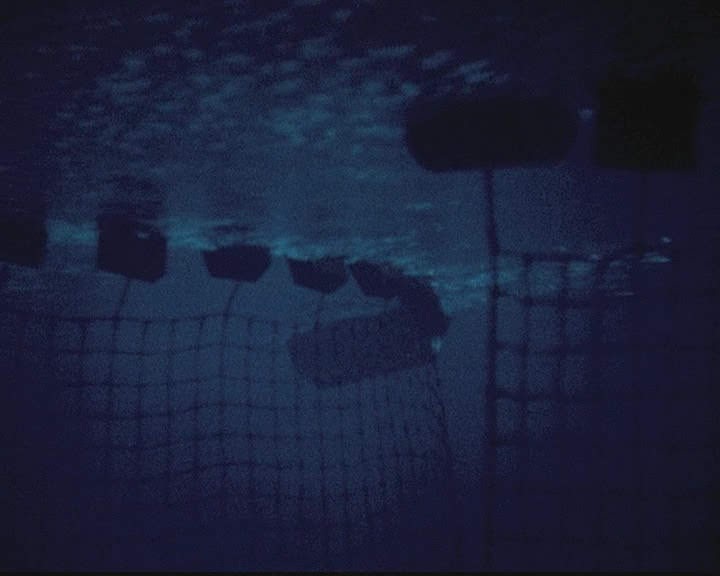 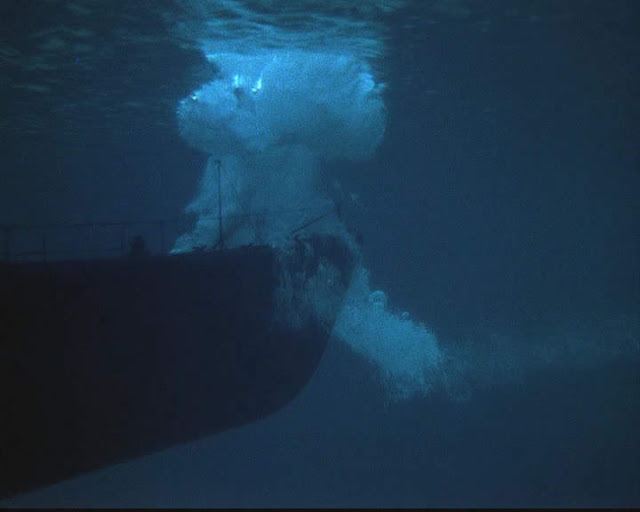 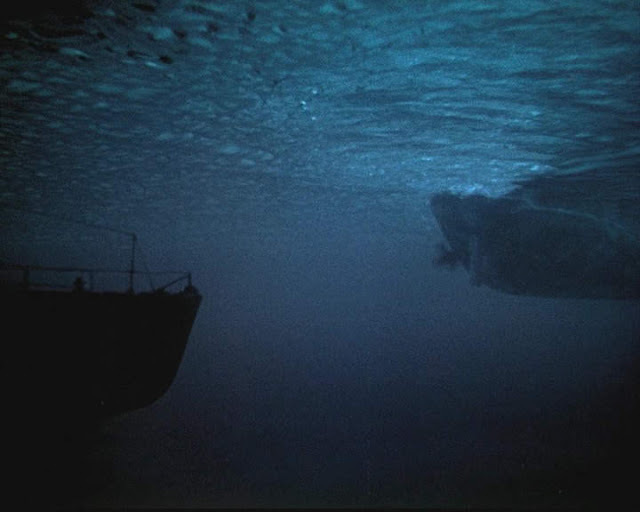 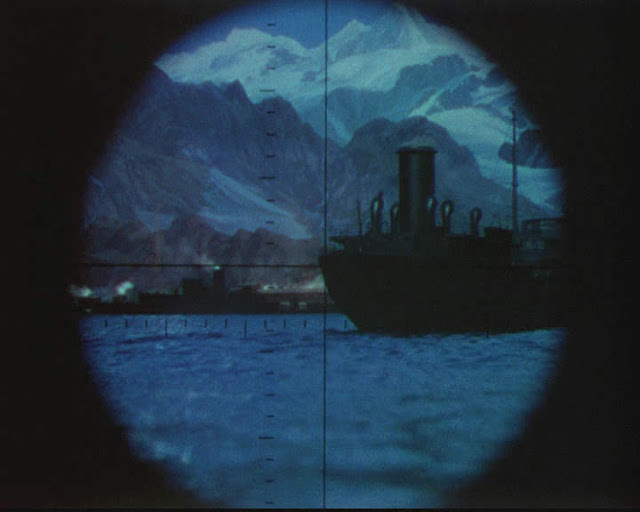 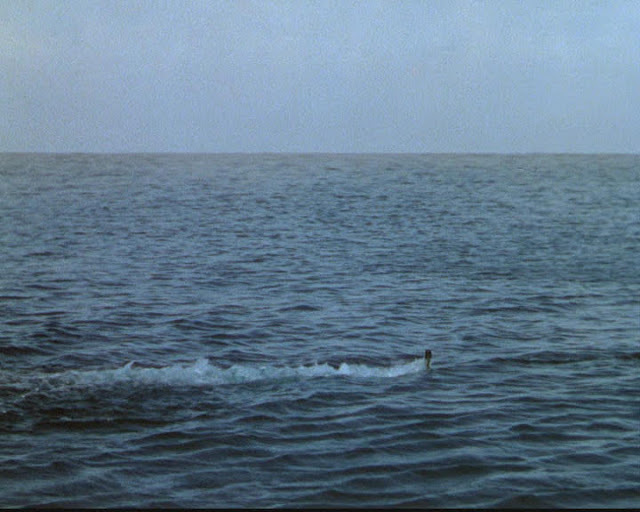 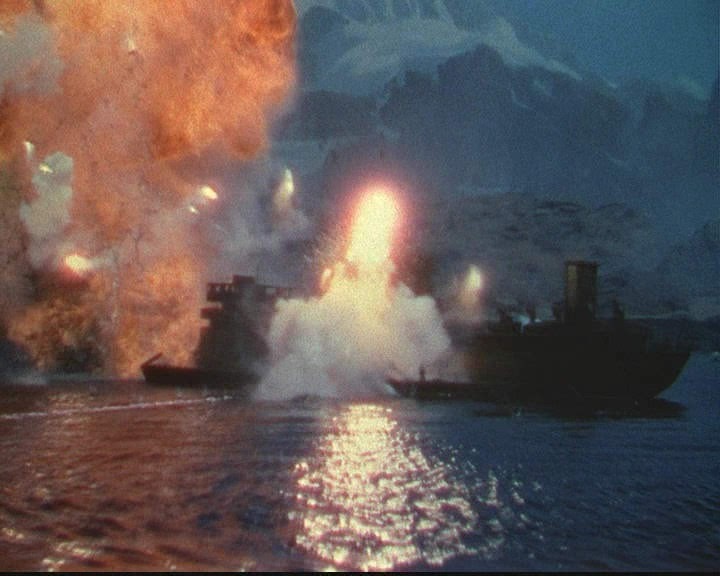 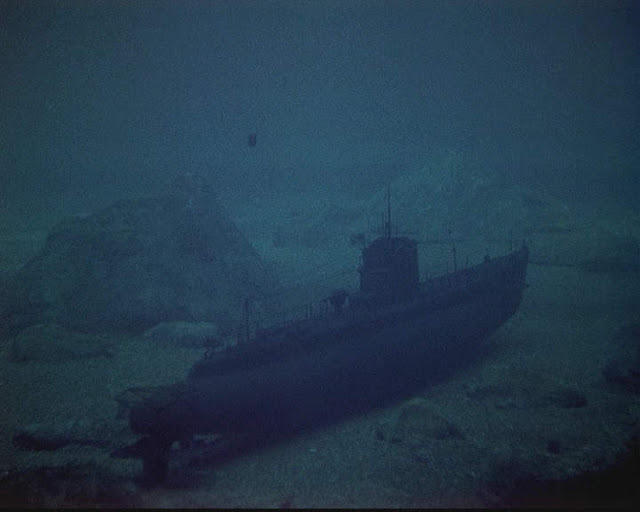 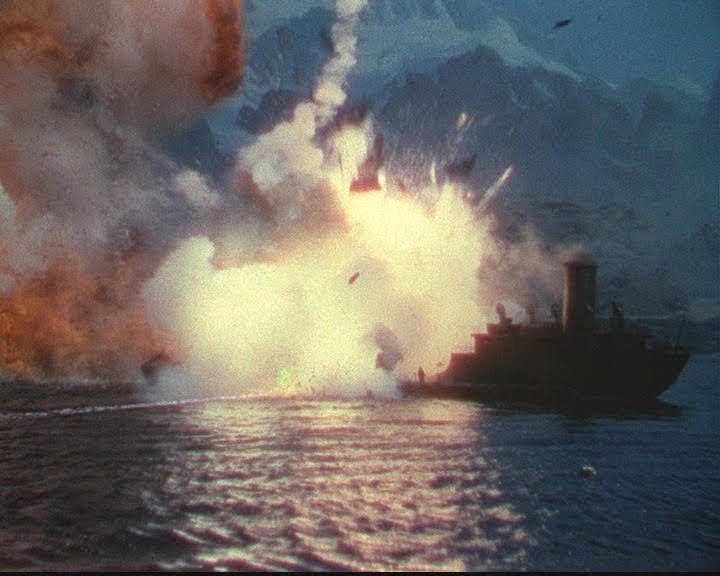 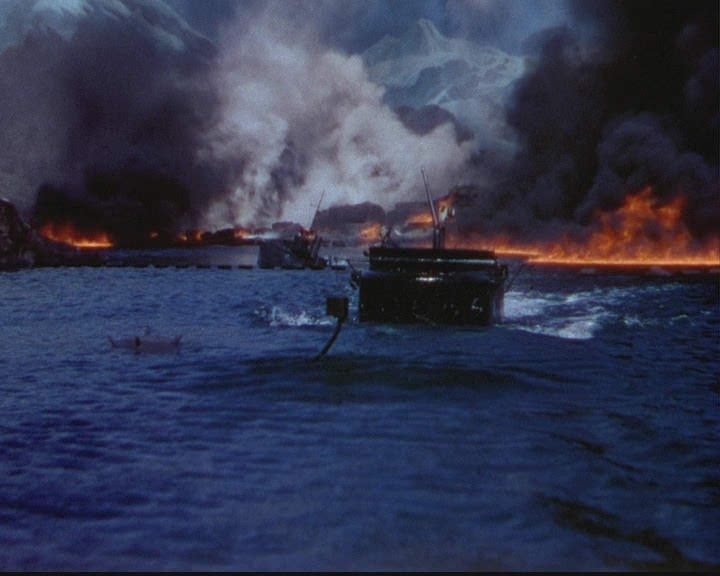 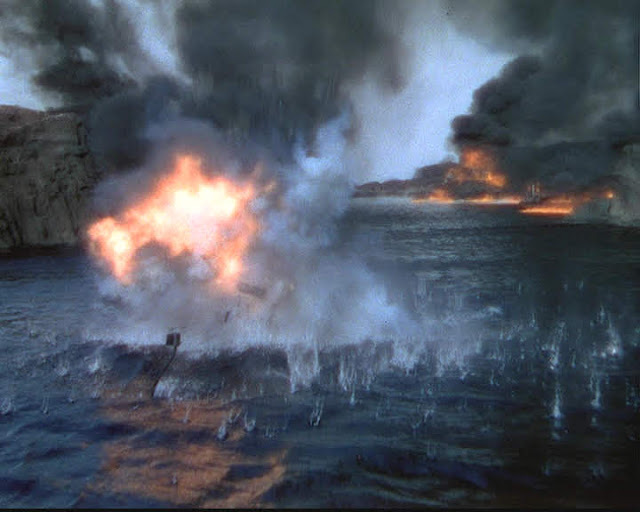 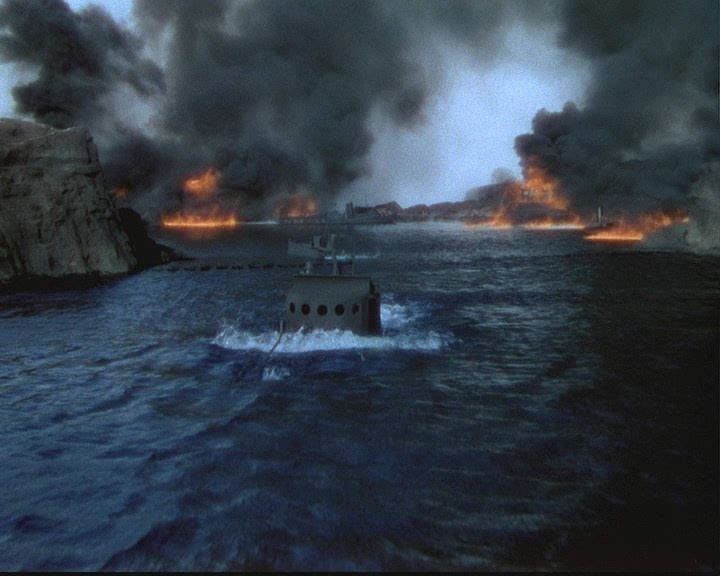 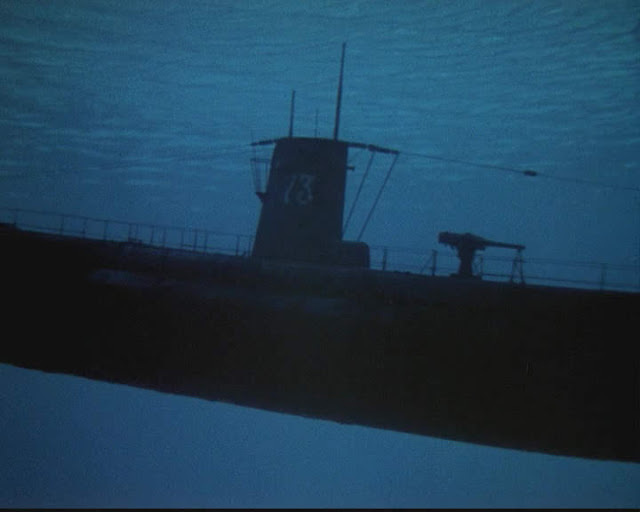 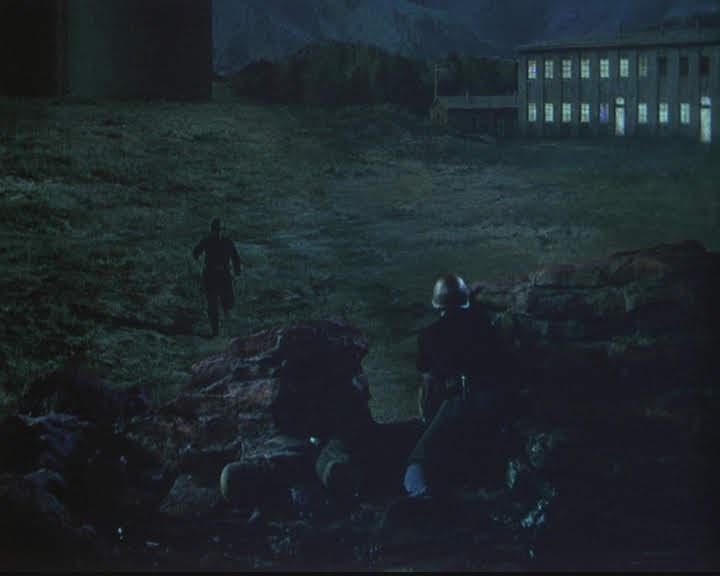 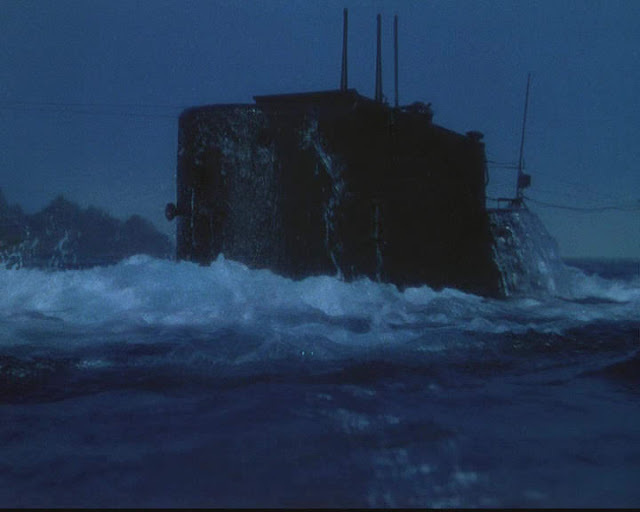 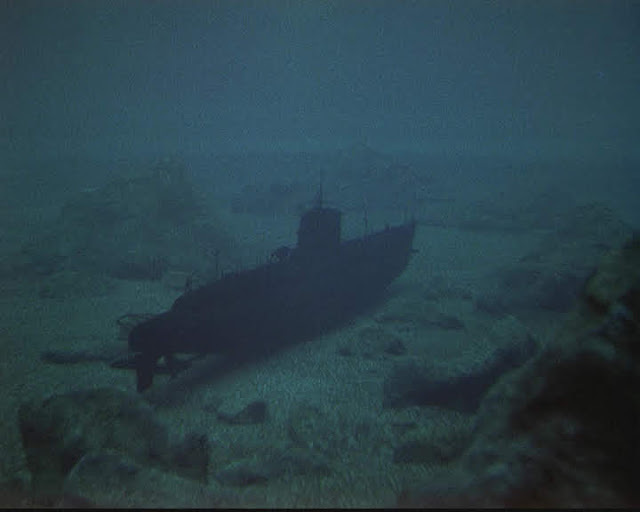 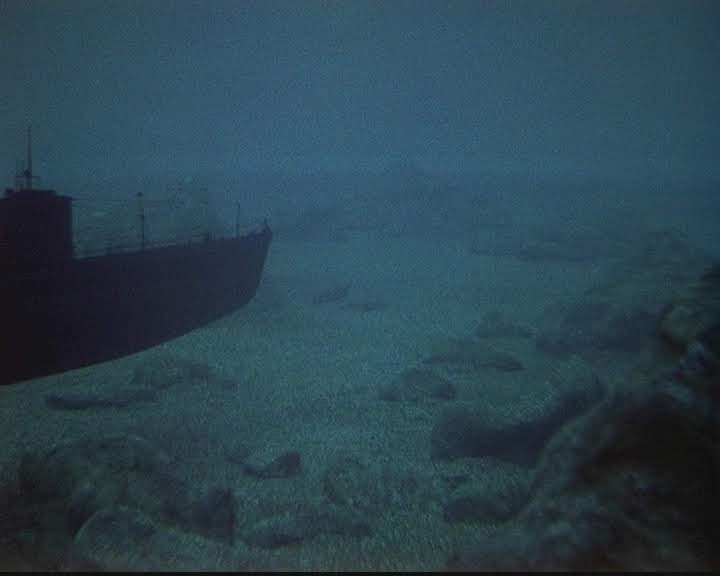 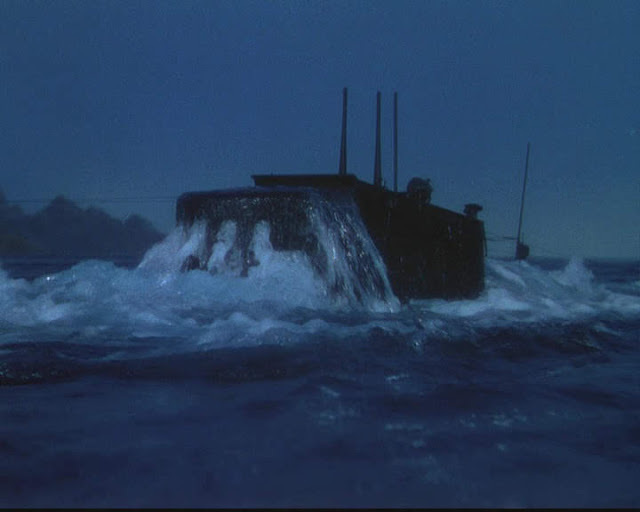 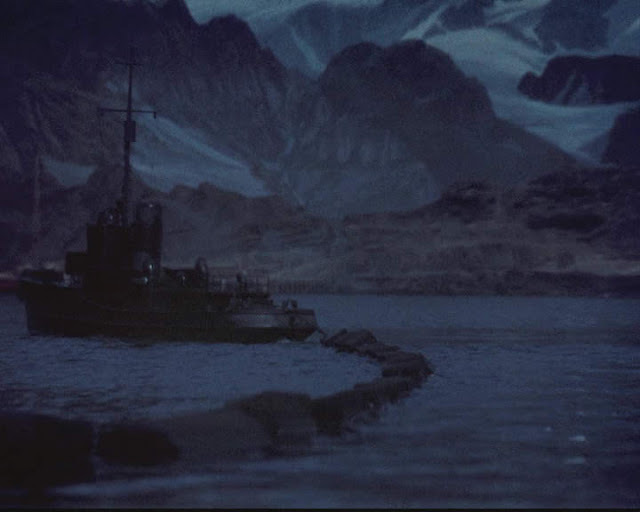 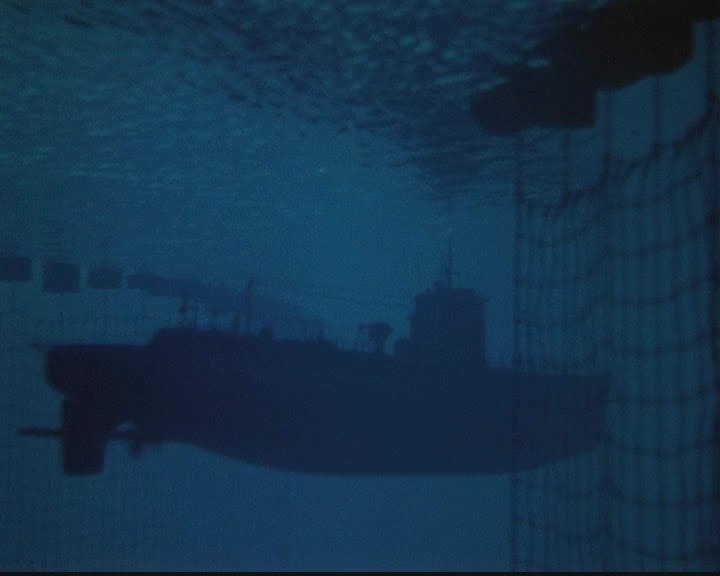 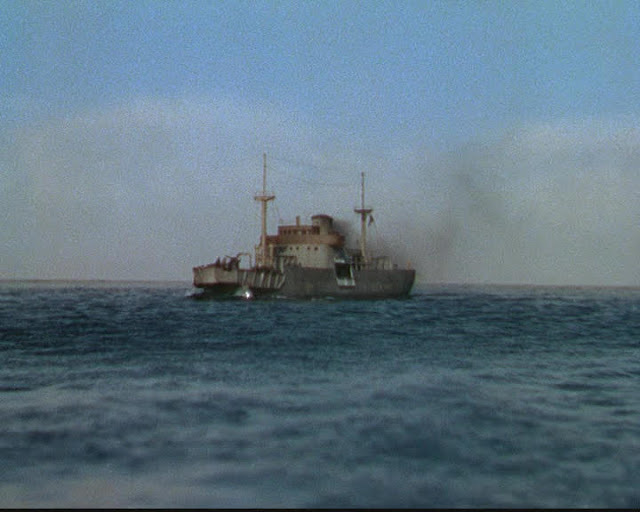 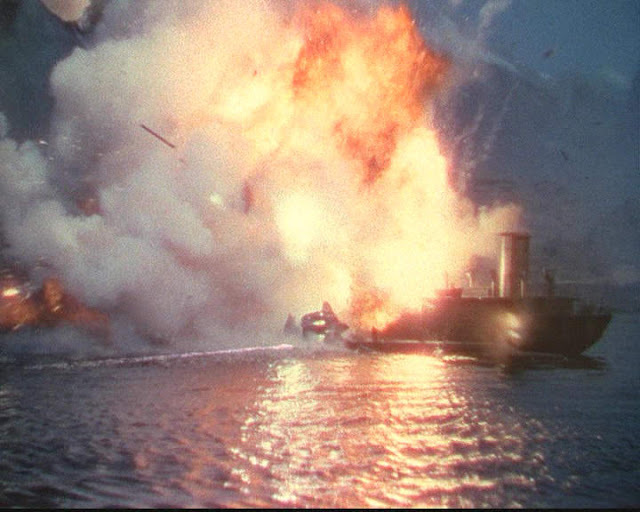 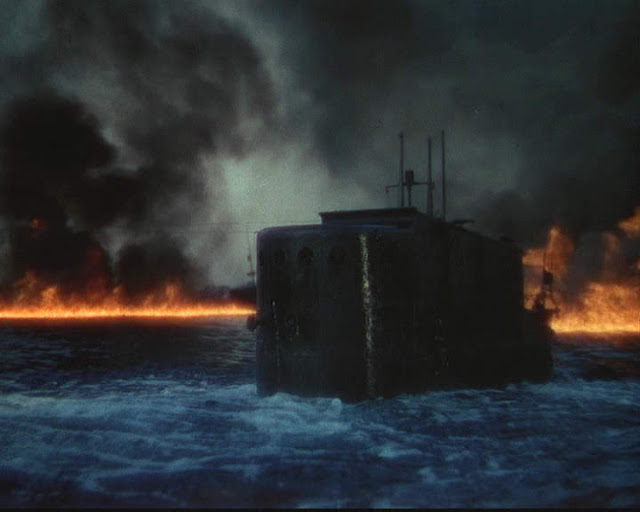 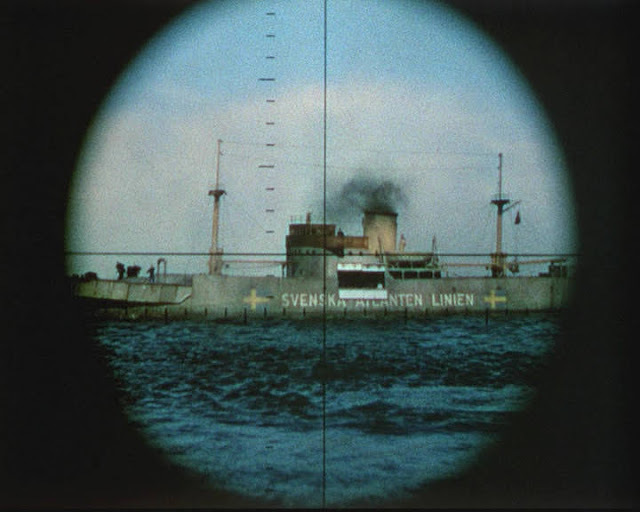 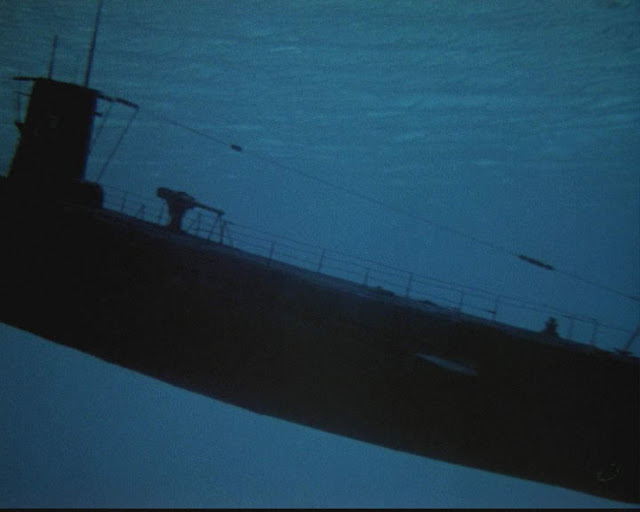 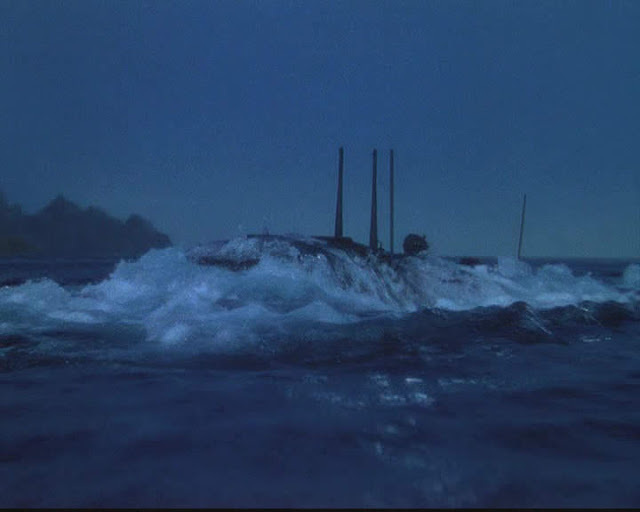 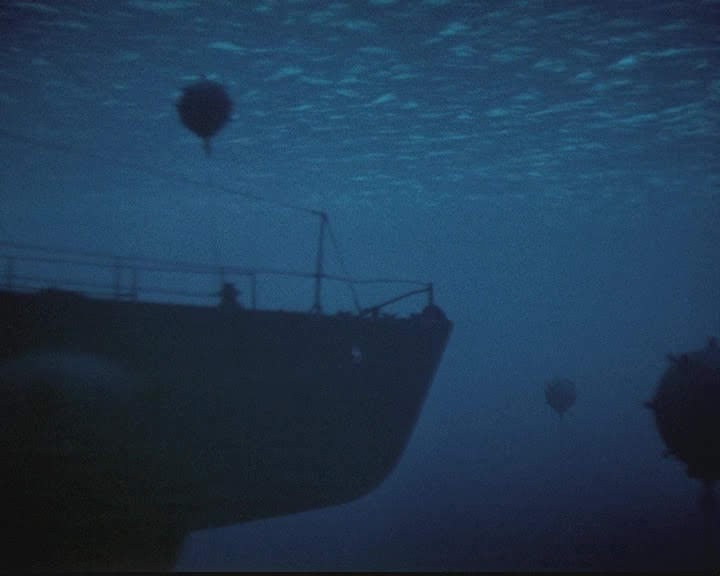 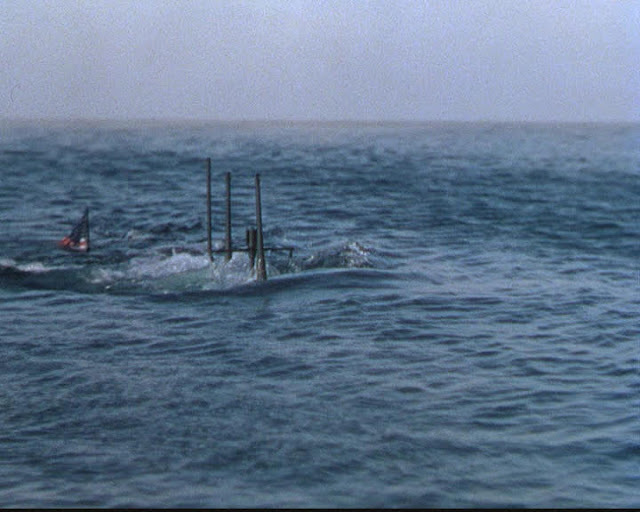 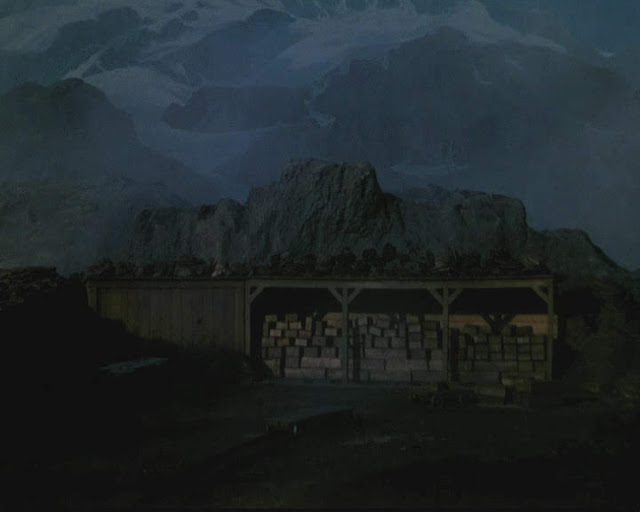 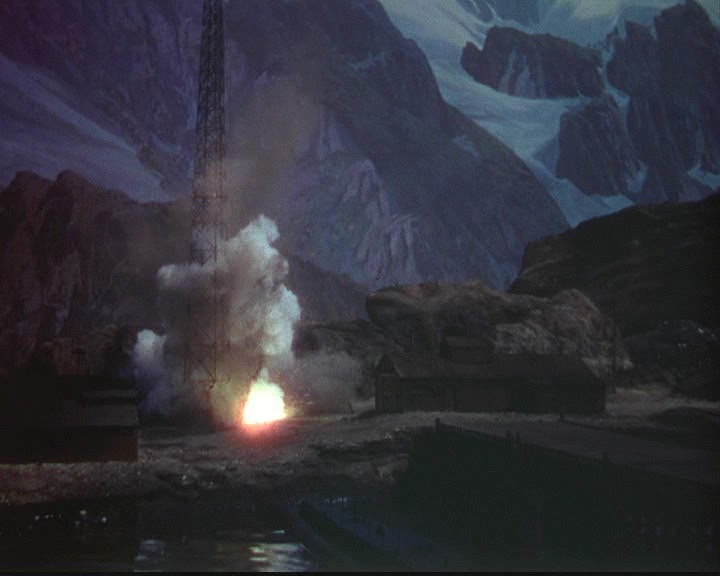 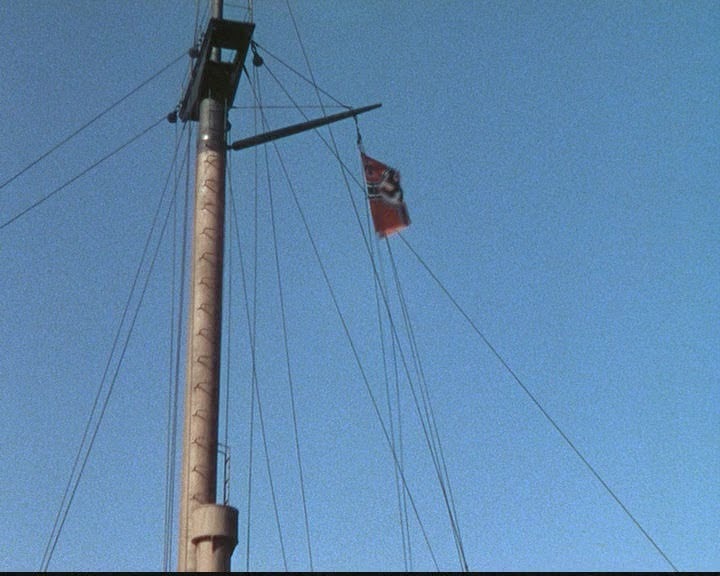 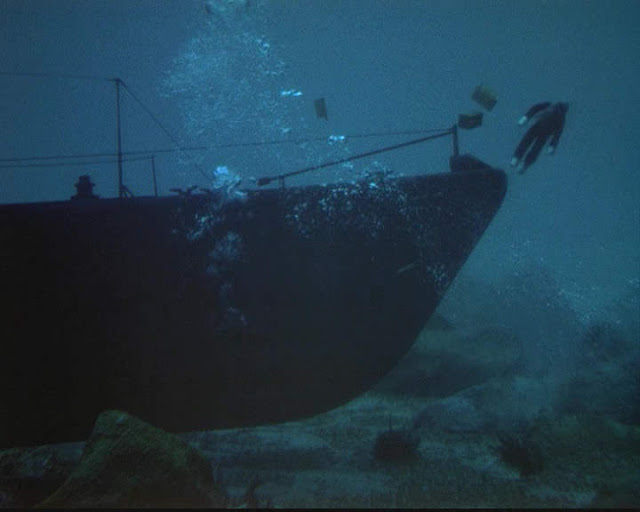 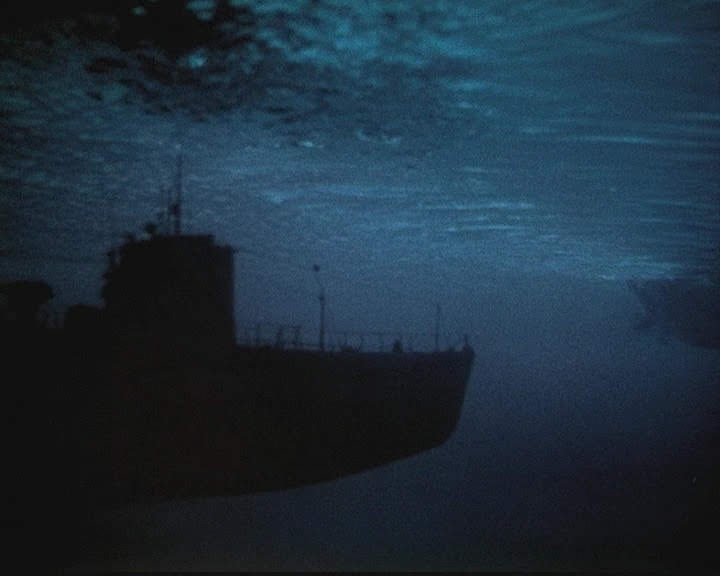 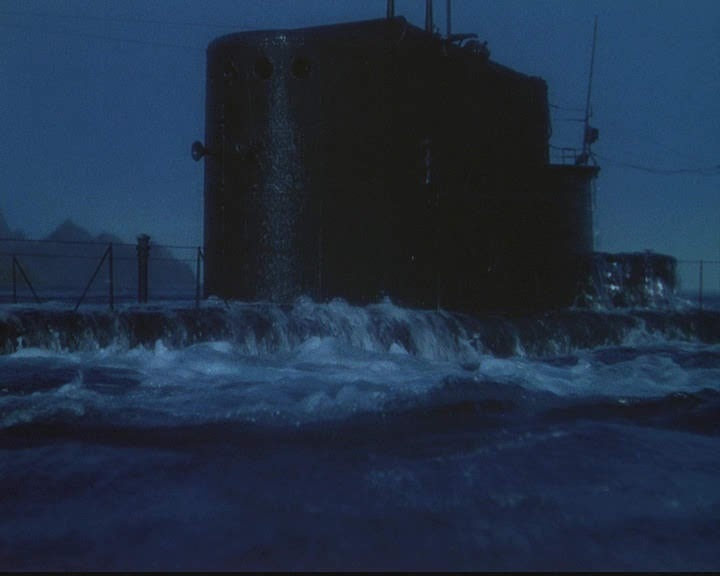 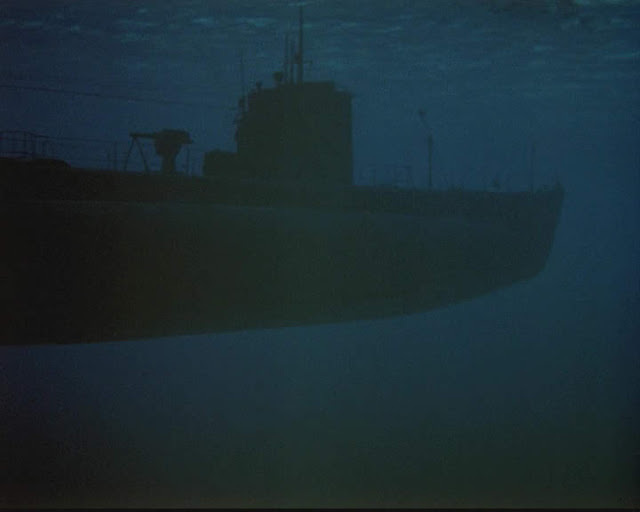 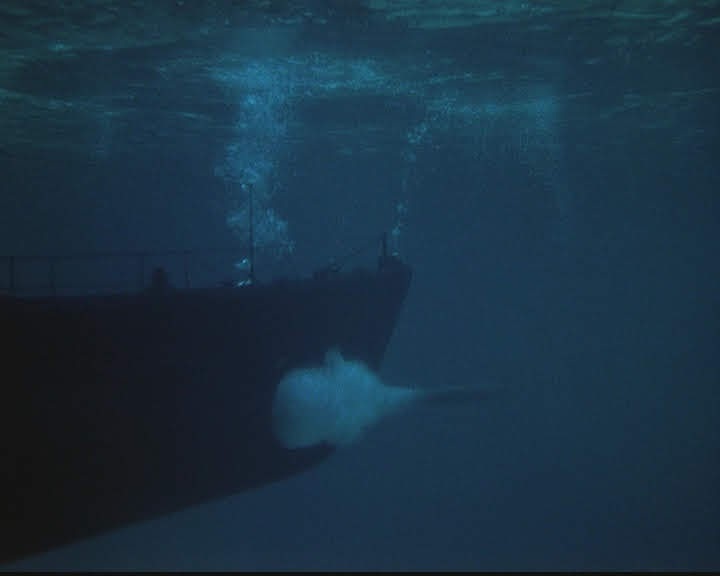 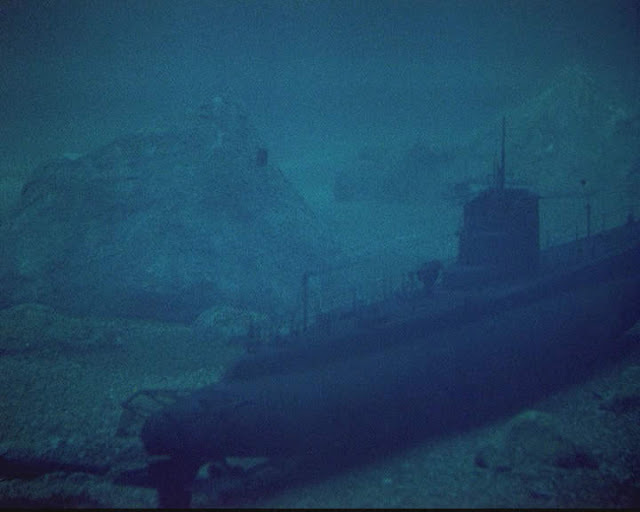 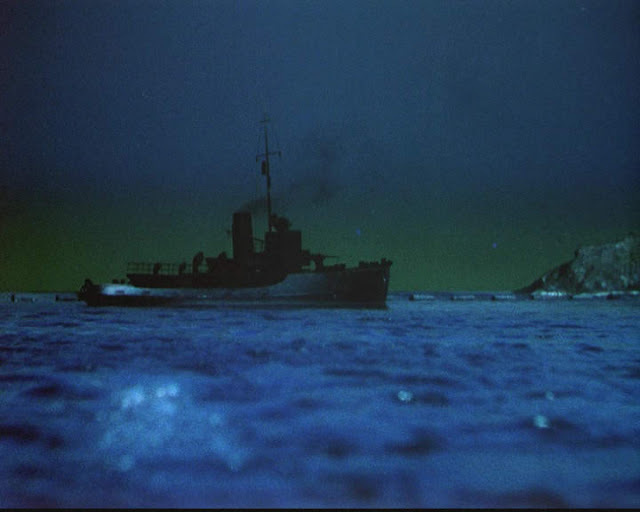 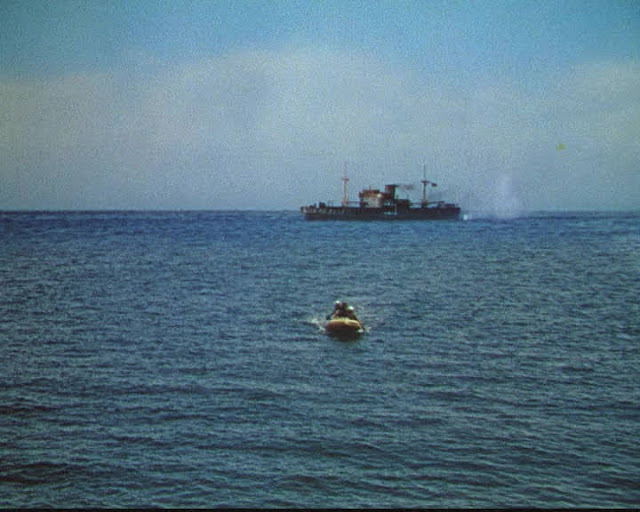 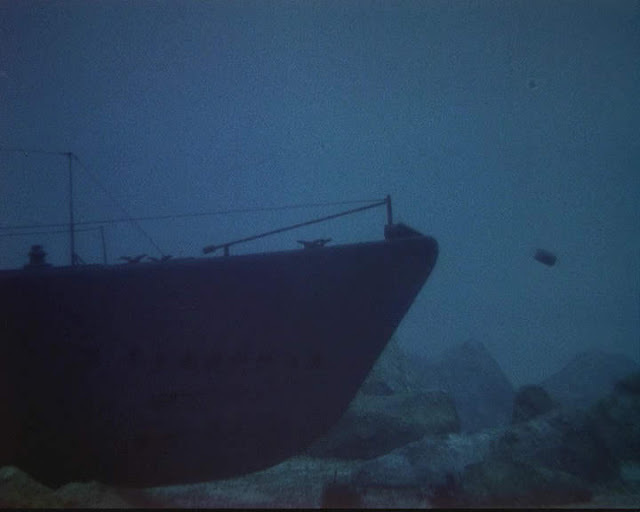 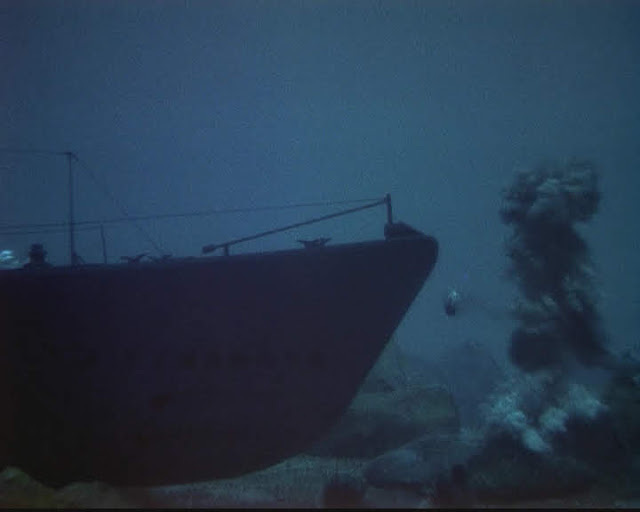 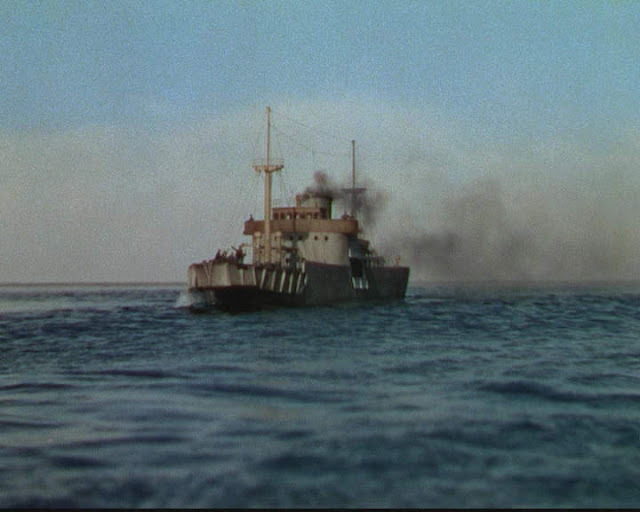 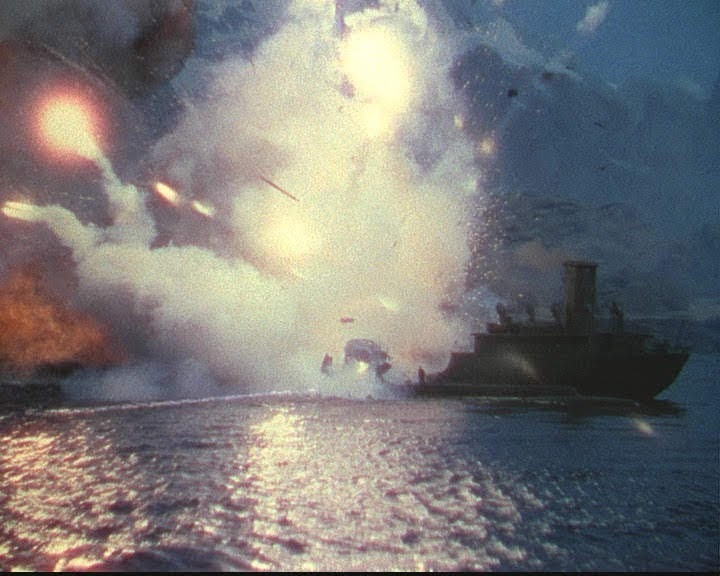 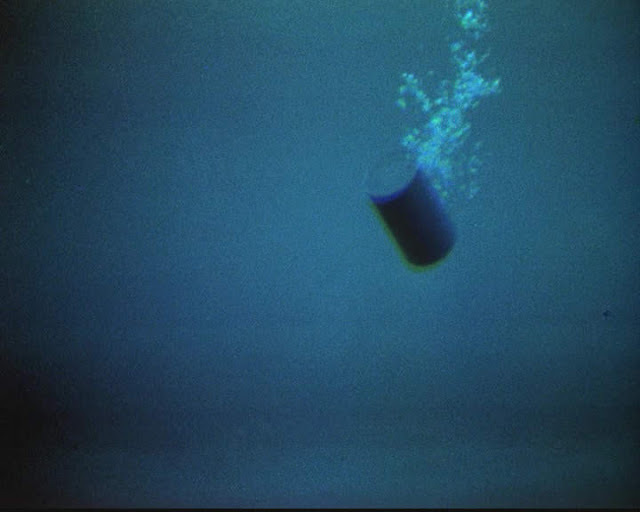 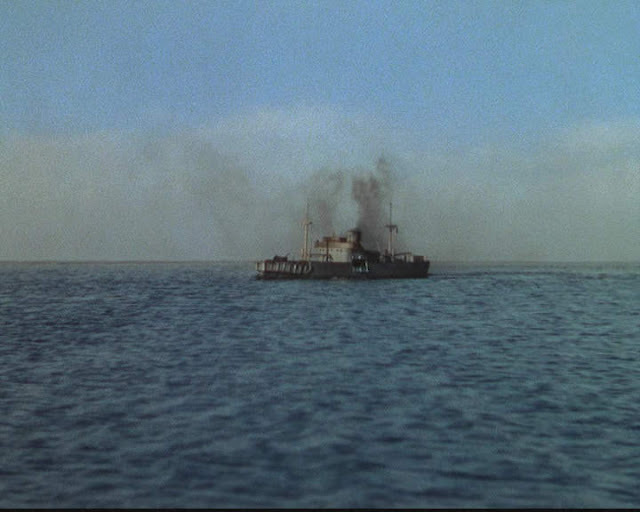 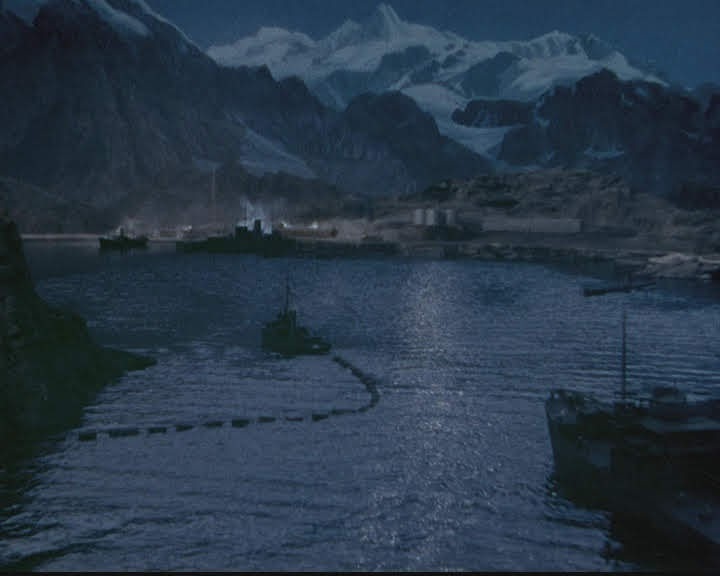 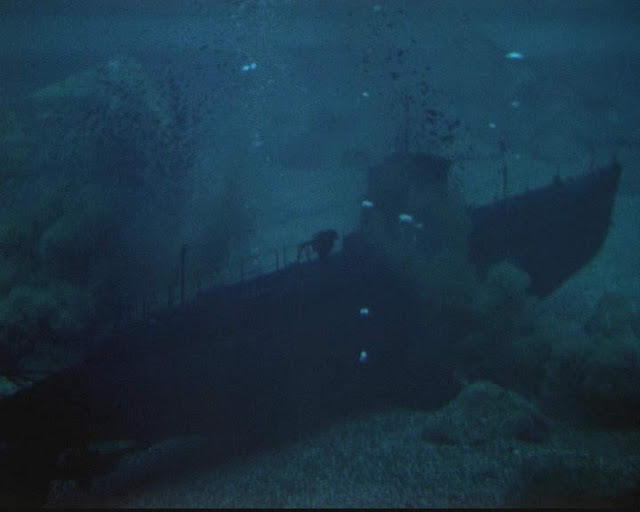 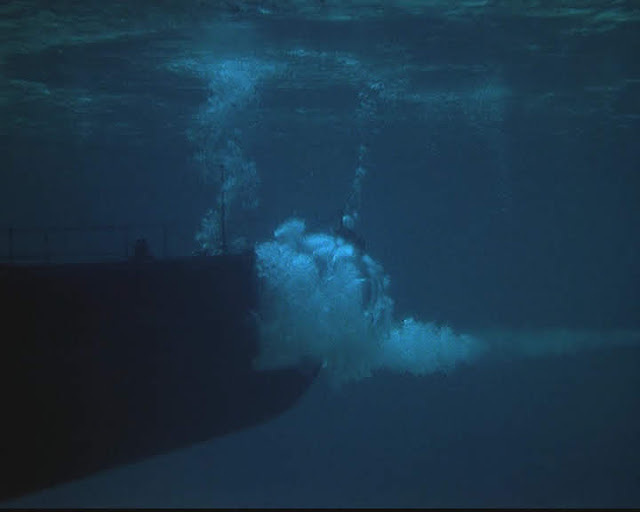 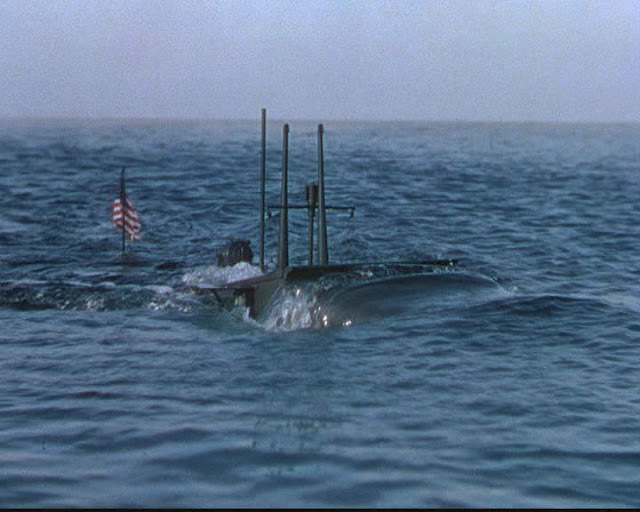 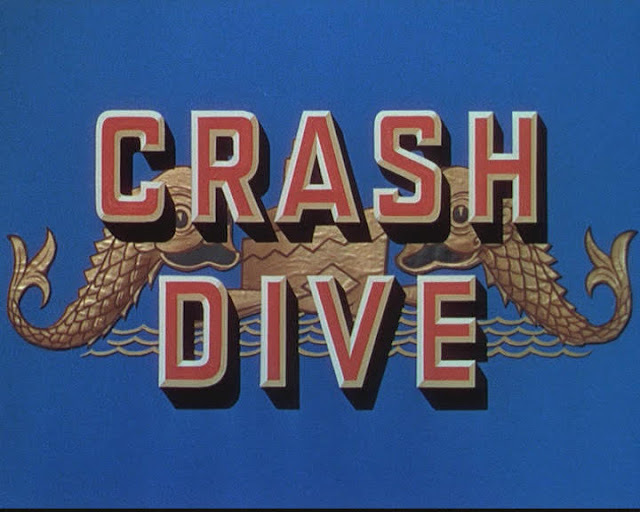 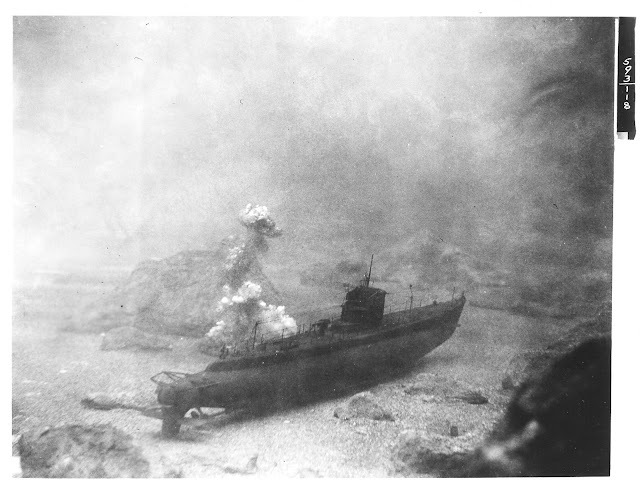 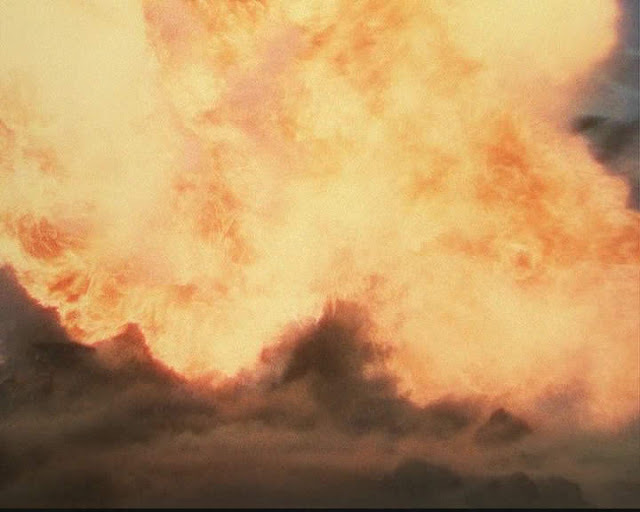 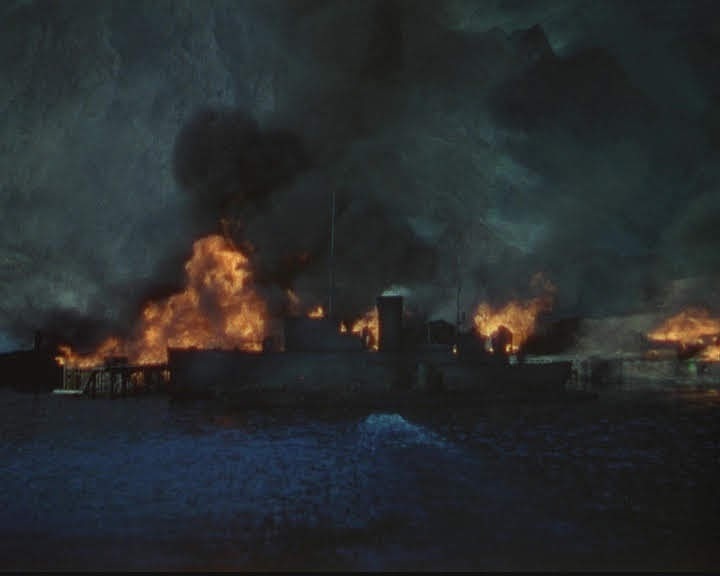 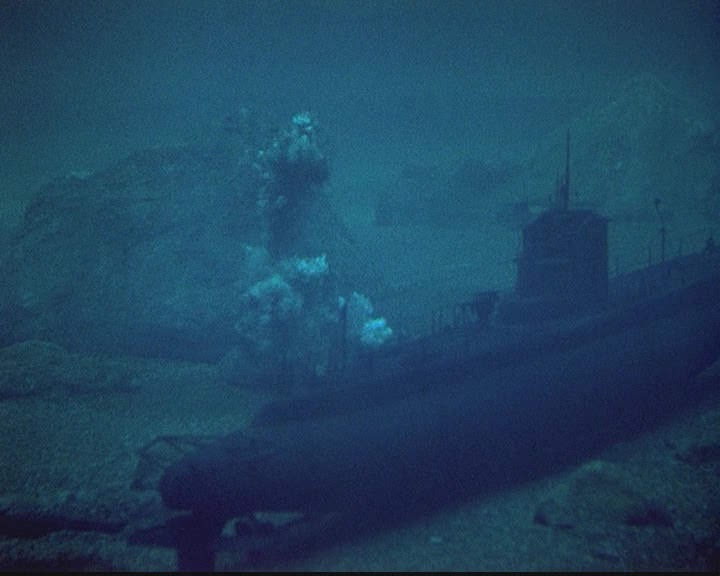 This film shares the leading actor, special effects supervisor and the special effects technique of putting live actor moving figures on the decks of the miniature ships using a traveling matte. 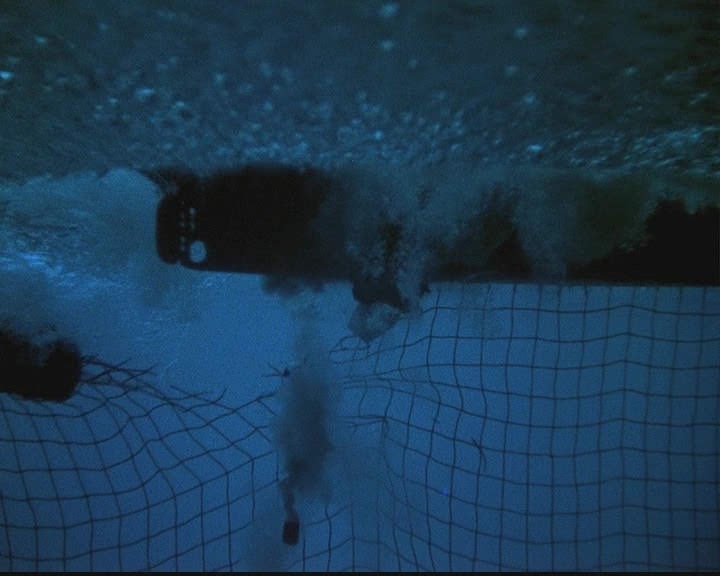 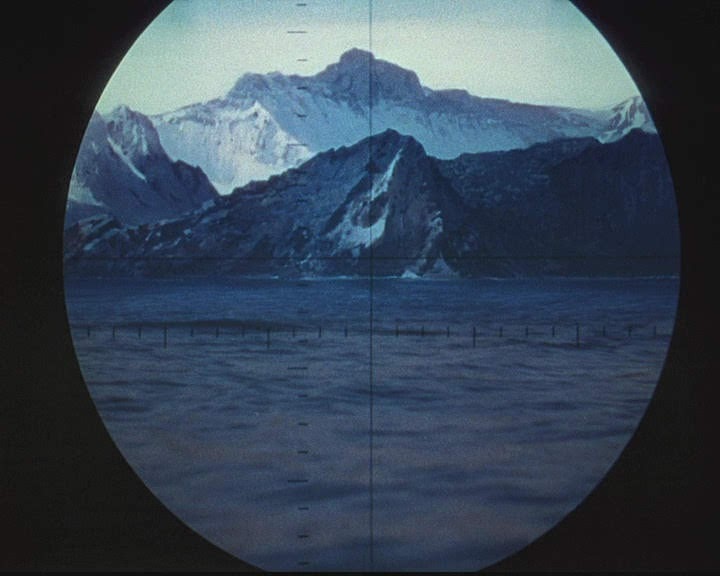 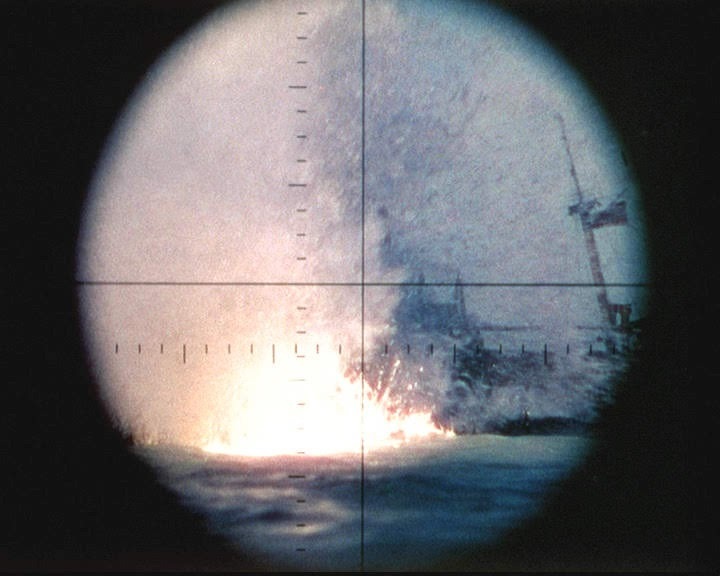 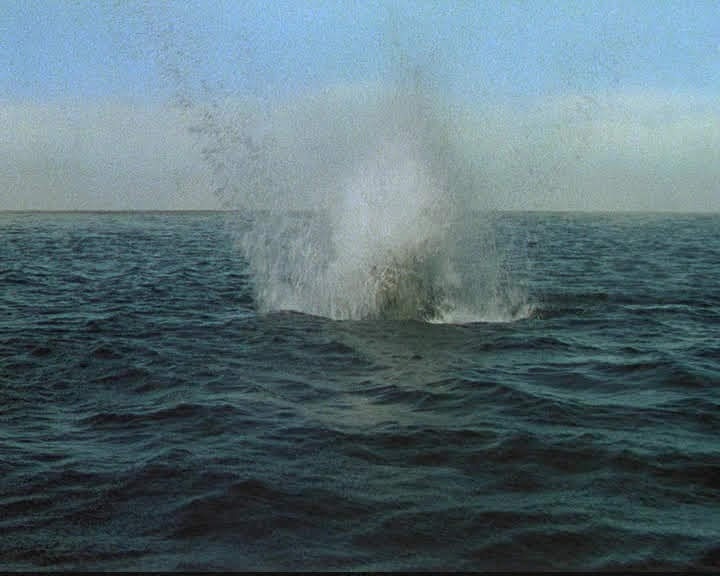 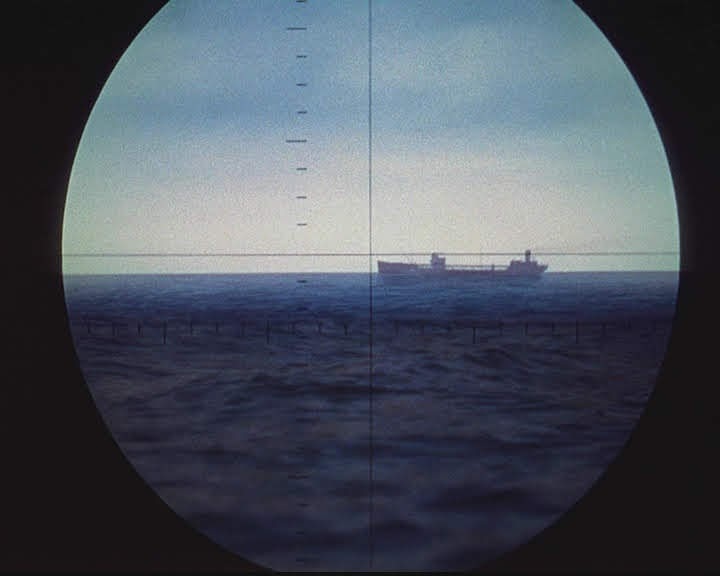 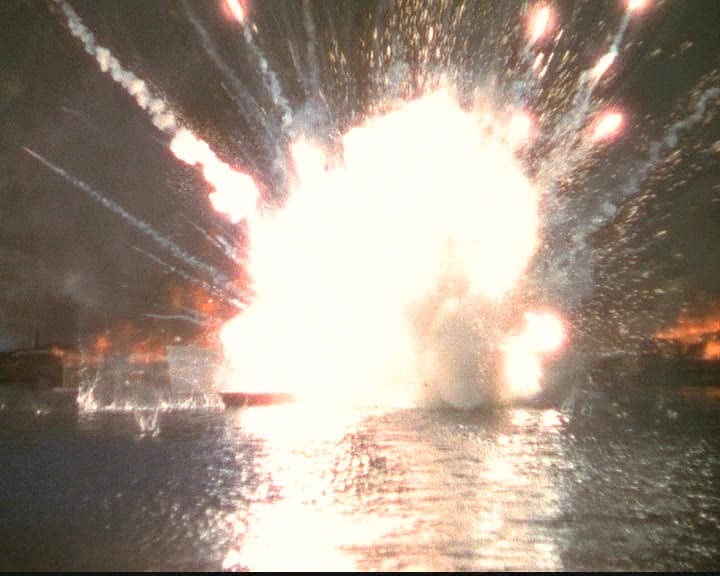 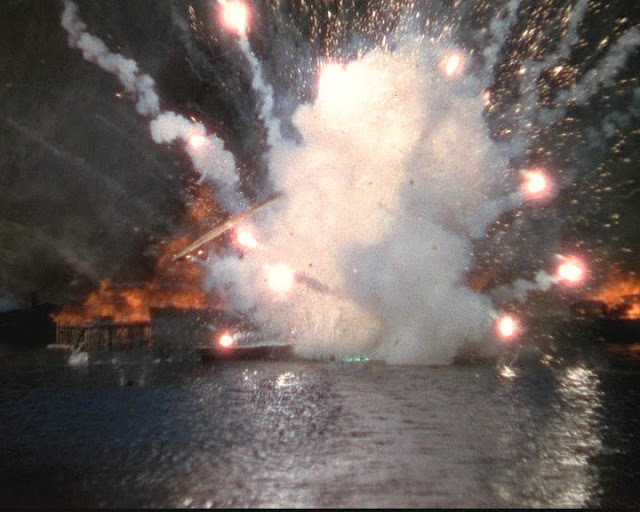 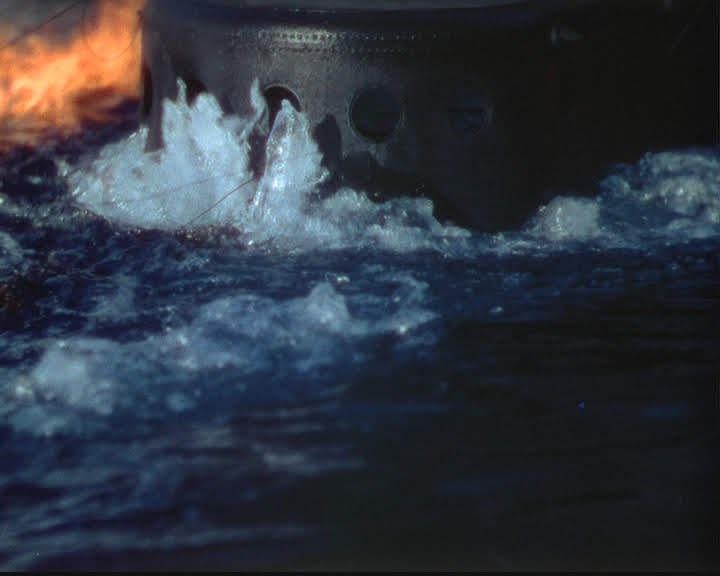 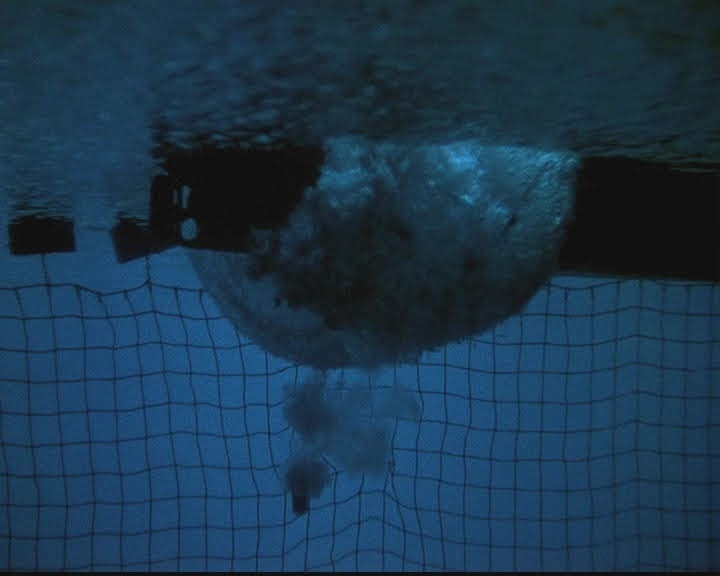 There are also a number of very effective split screen composites where part of the screen is live action and part miniature with the blends matching pretty seamlessly across the water surface. 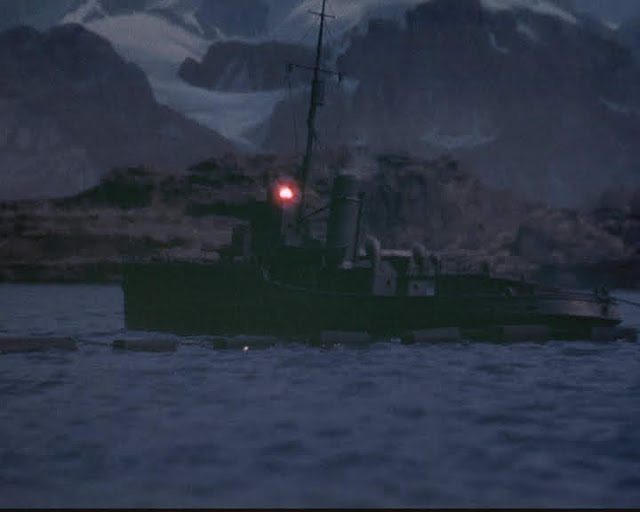 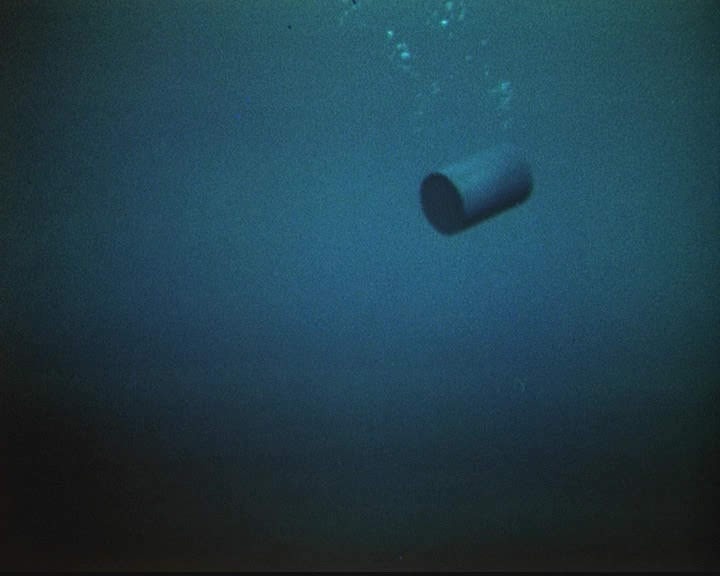 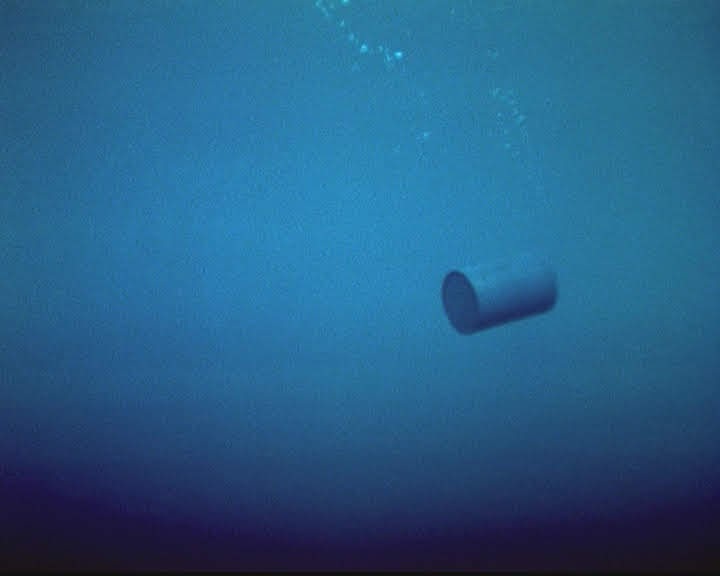 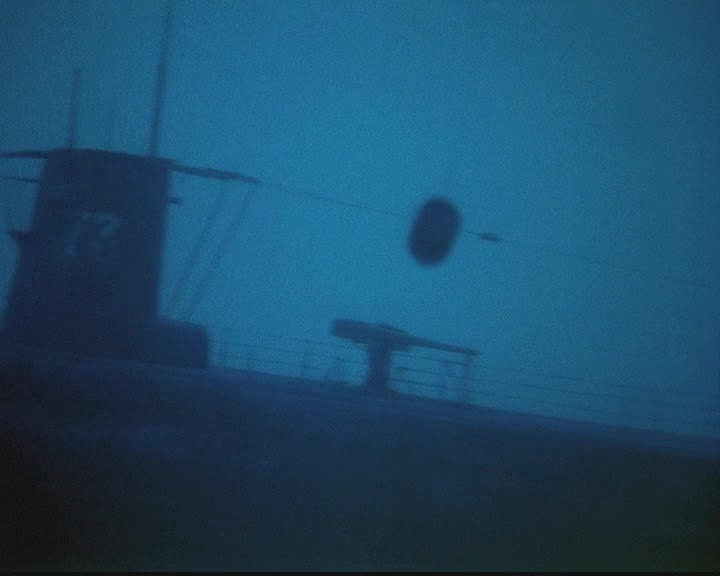 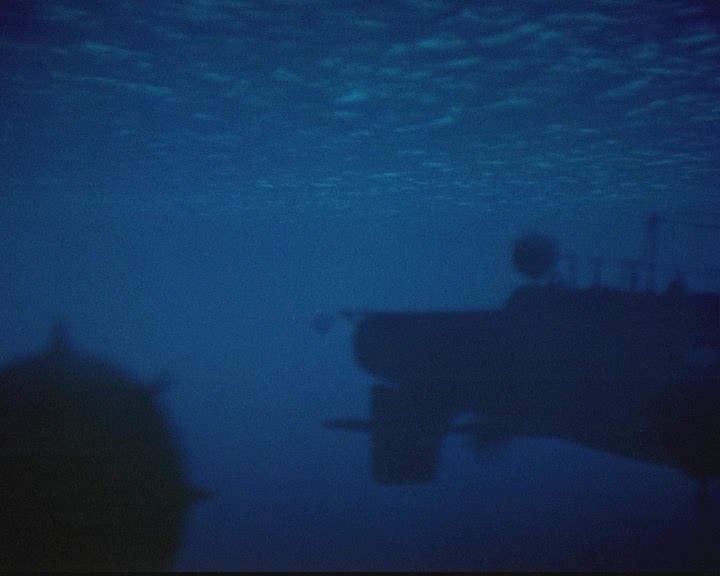 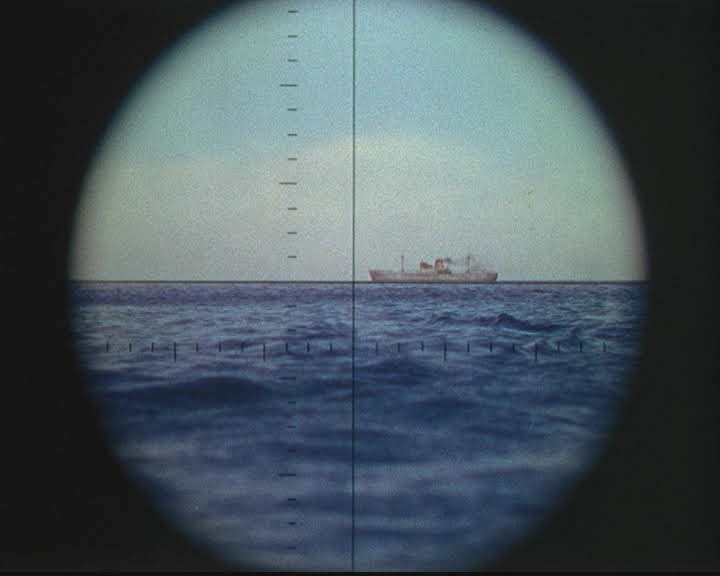 My guess is that along with the hero submarine model there was also a larger conning tower miniature for the close up shots of the conning tower surfacing. 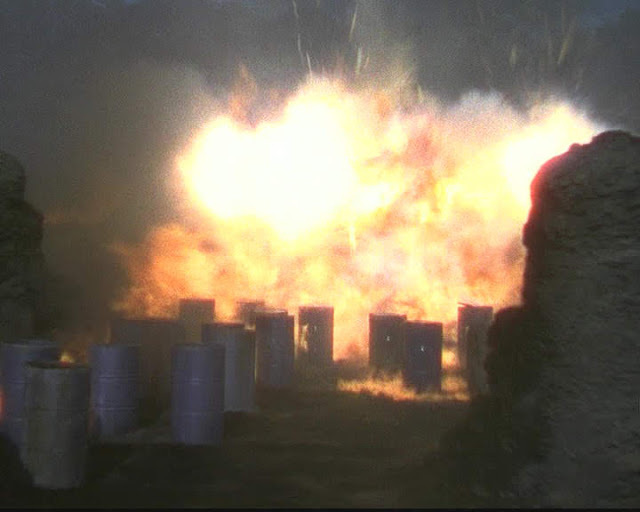 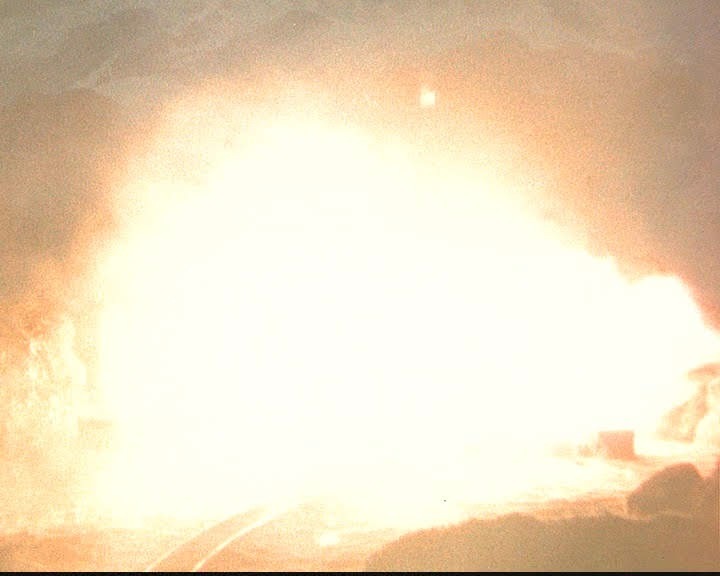 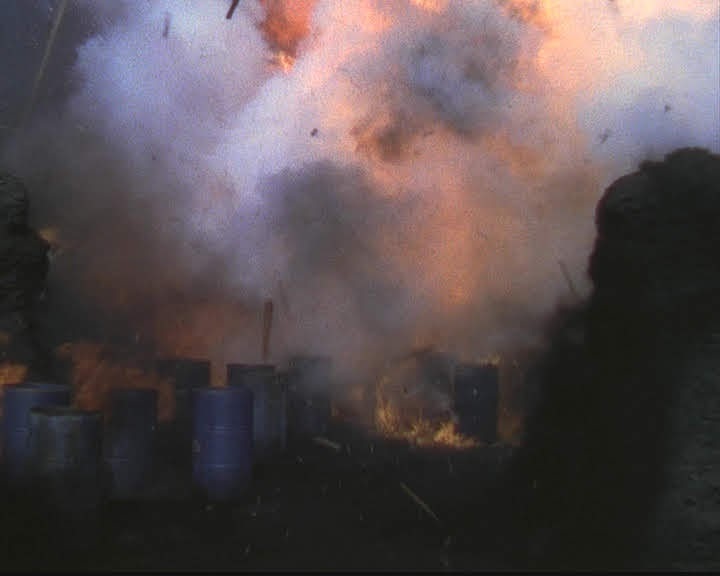 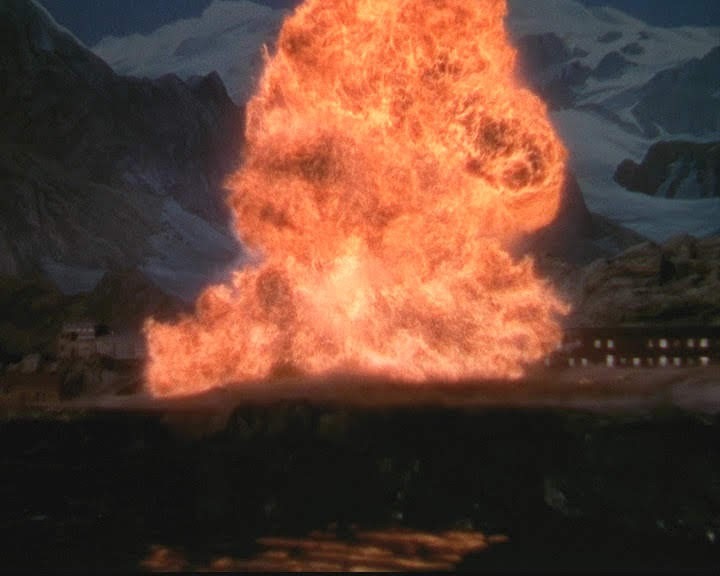 As usual Fred Sersen's miniature pyrotechnics are full of impact and variety and add to the technicolour effect. The shots were taken in the Fox tank known then as the moat. 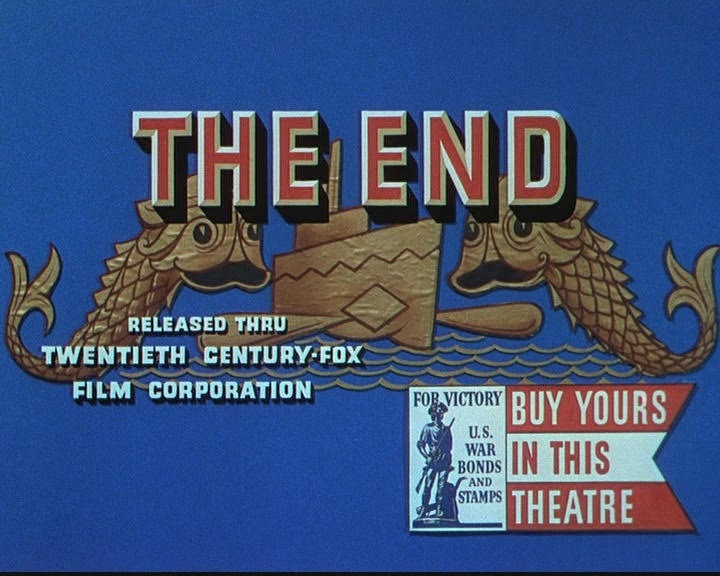 The land it stood on was sold off in 1960 for what is now known as Century City. 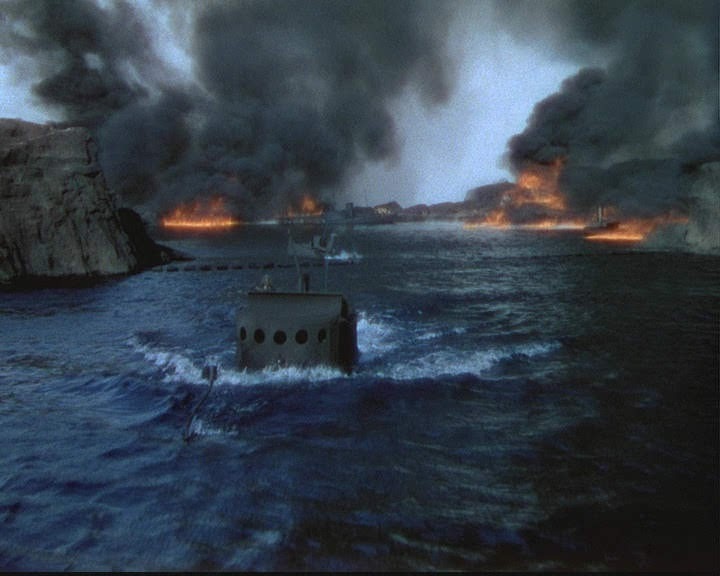 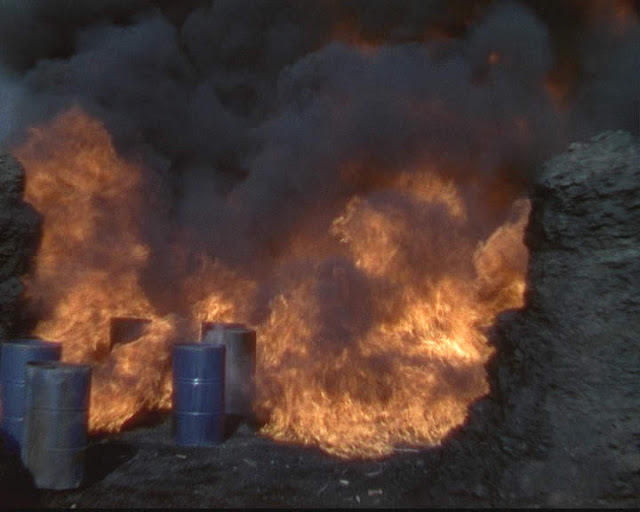 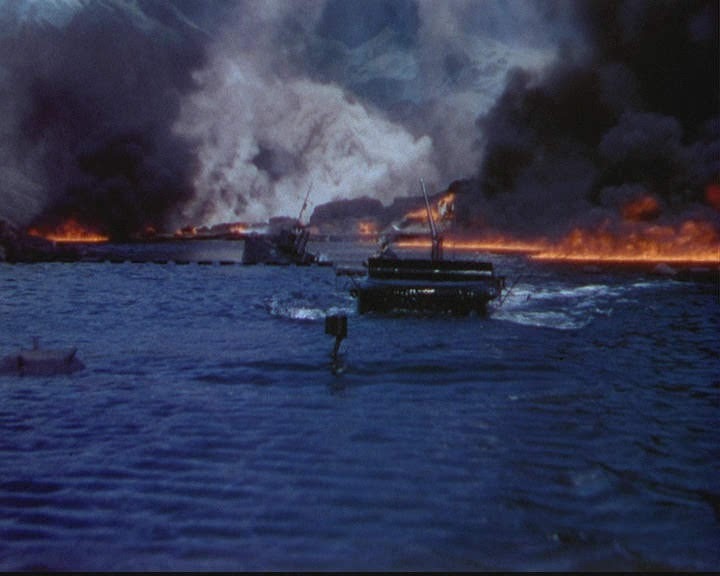 A larger tank was built on the Fox ranch a few years later for Cleopatra and used for many subsequent productions including Tora Tora Tora. 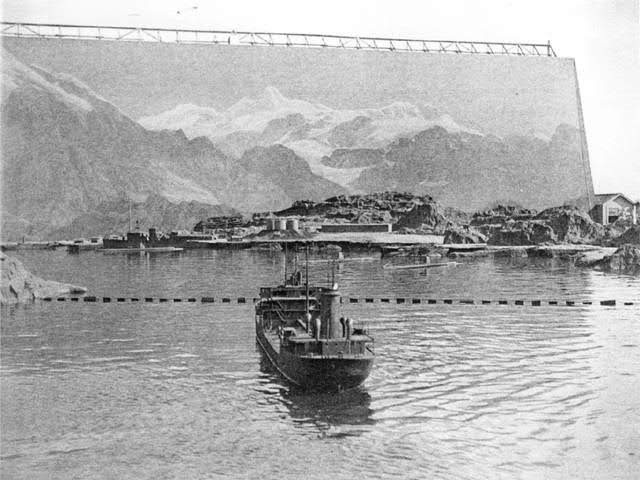 It was named the Sersen Lake in honor of Fred Sersen . 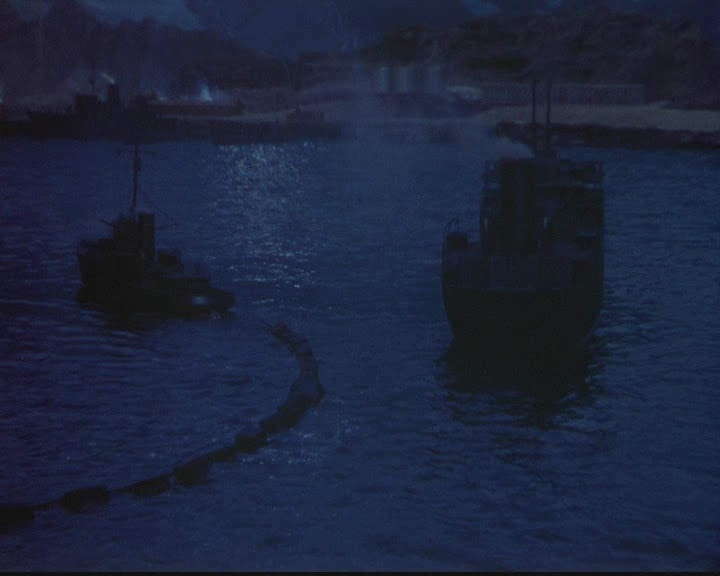 Miniature enemy harbor and ship in the Fox moat with sky backing.